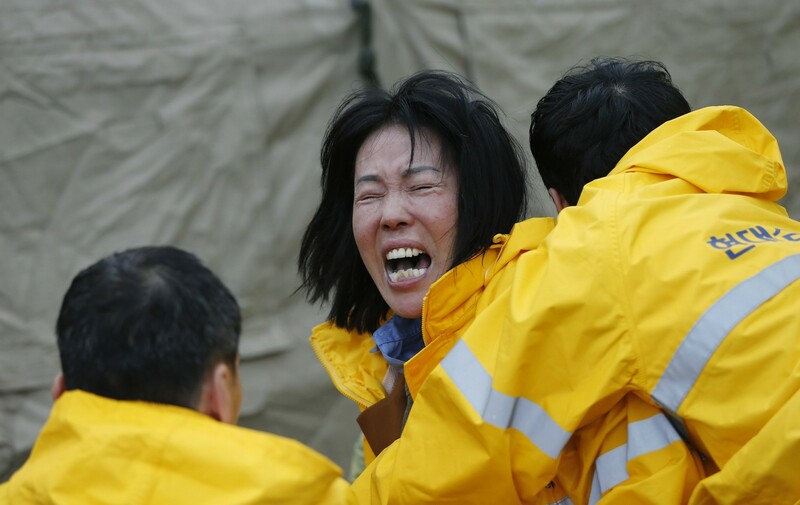 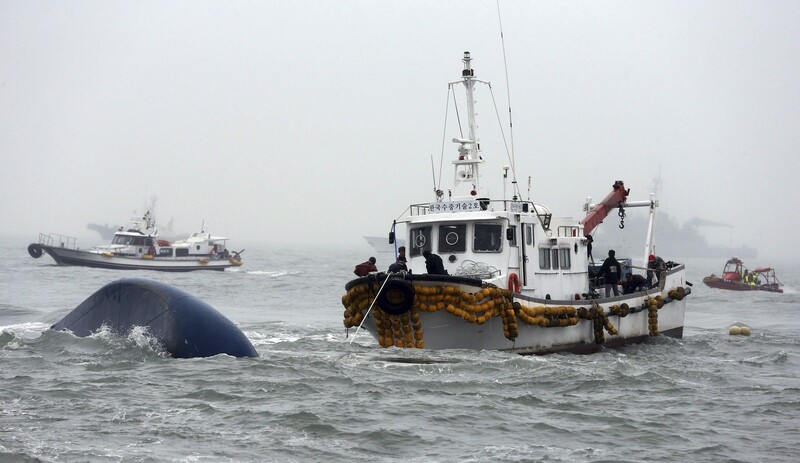 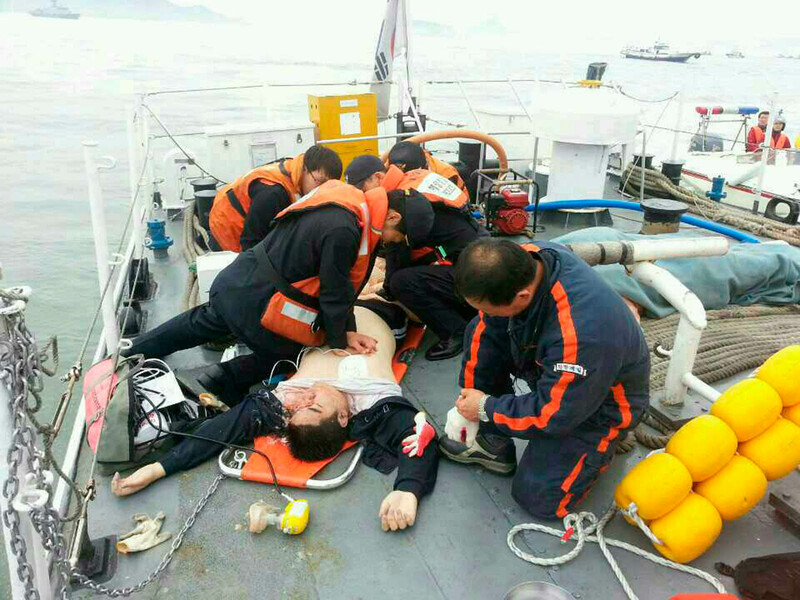 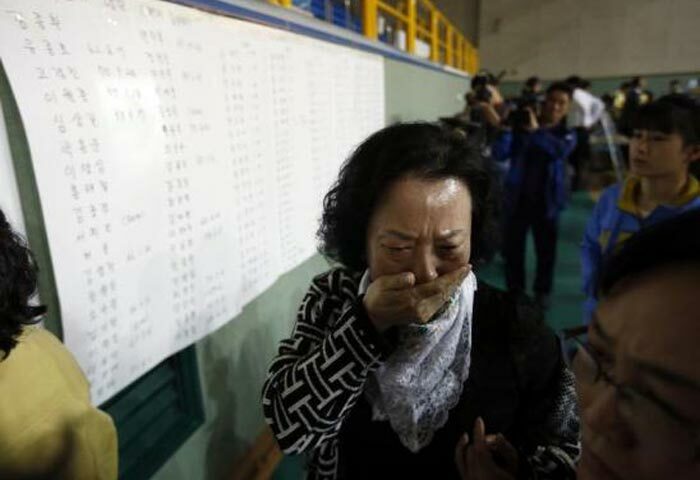 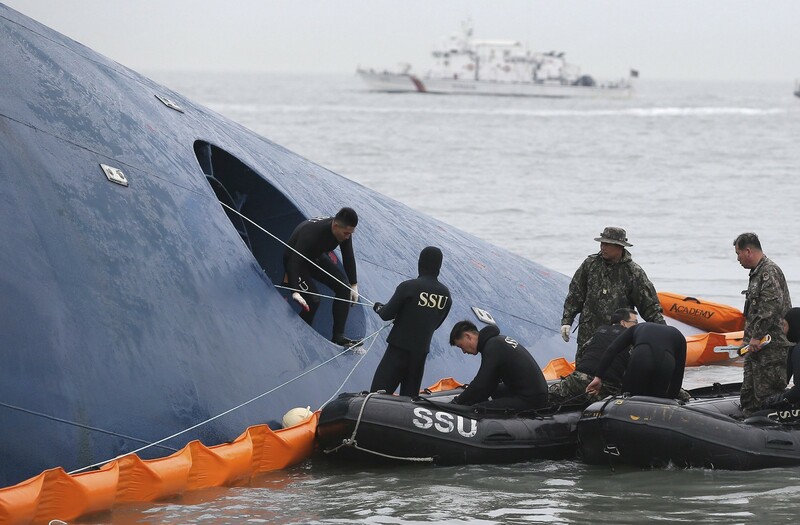 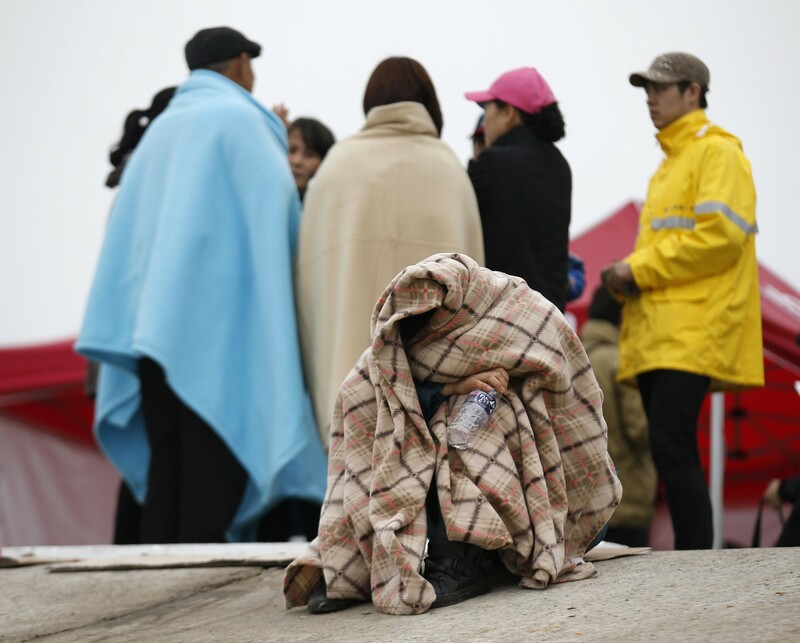 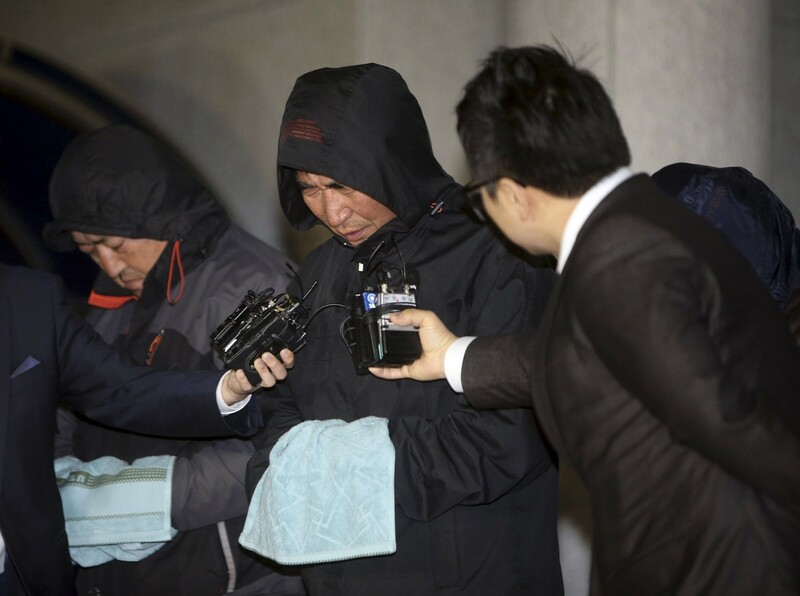 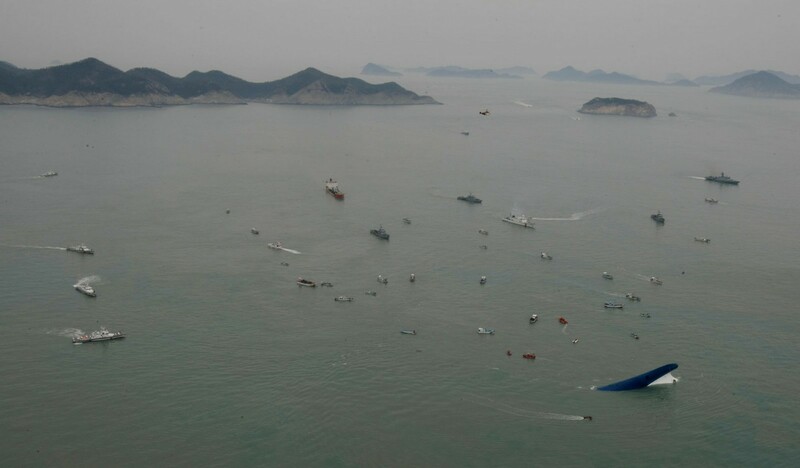 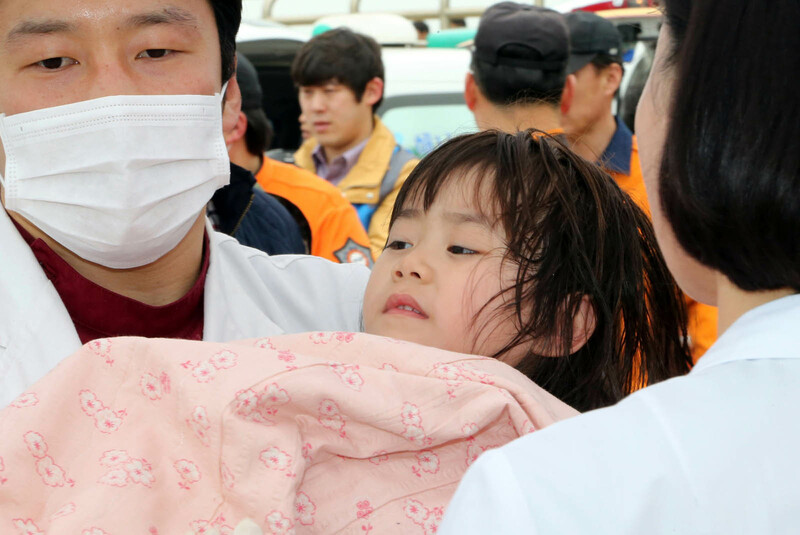 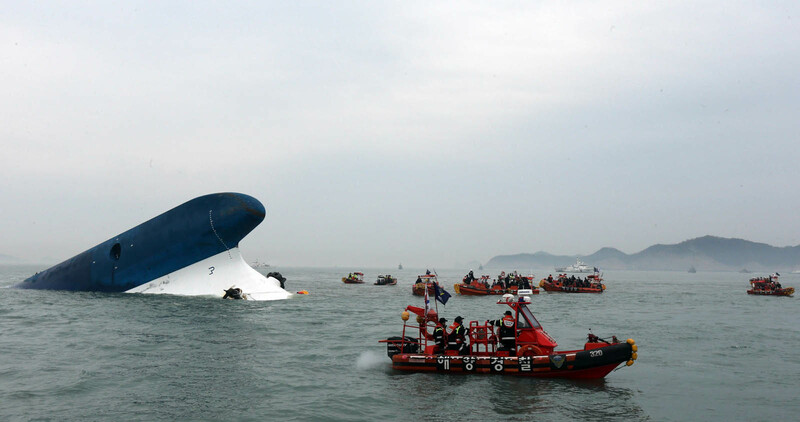 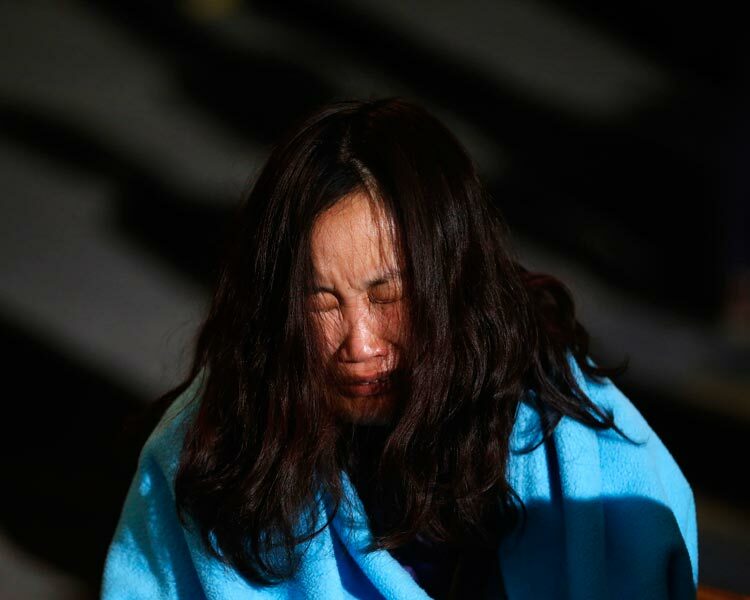 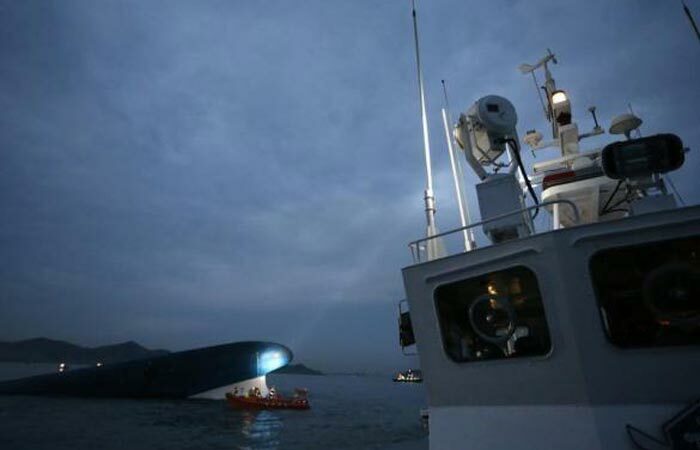 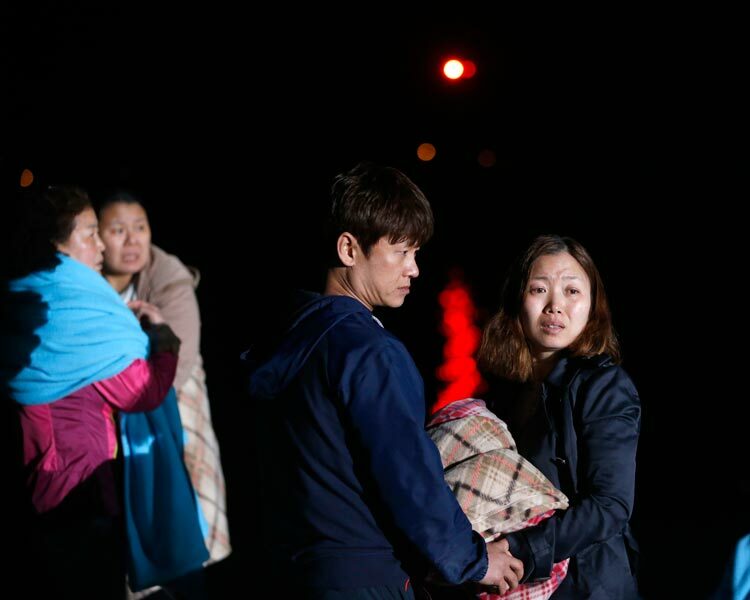 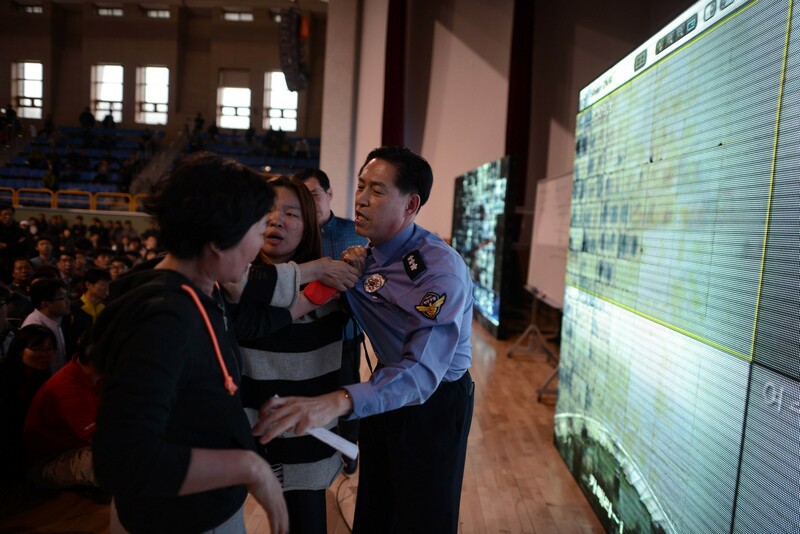 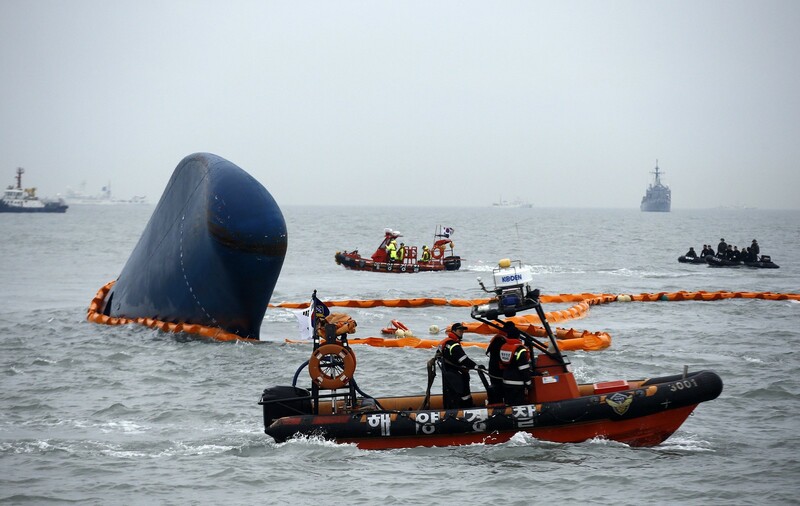 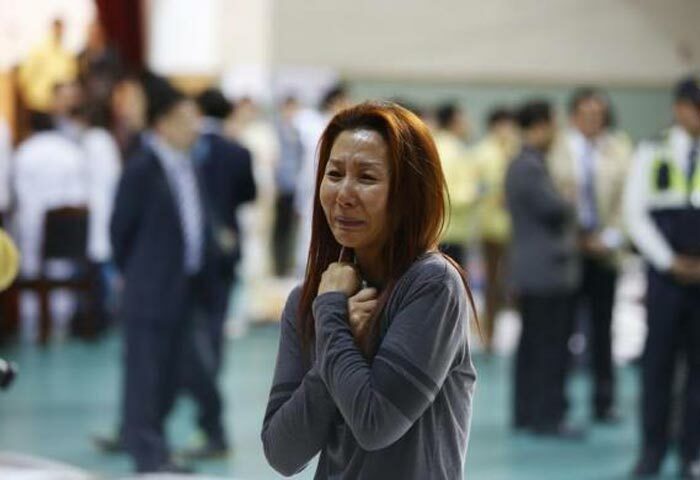 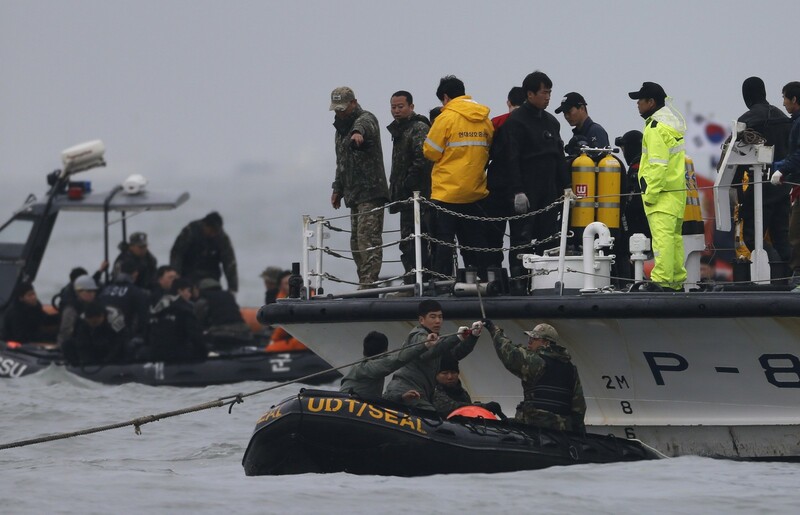 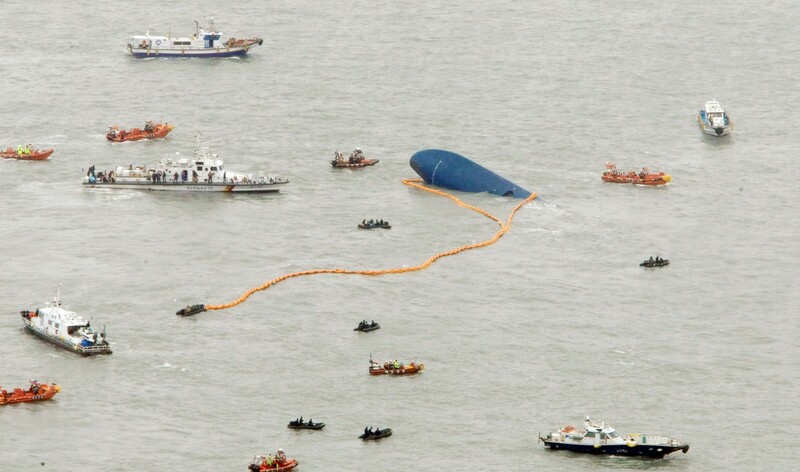 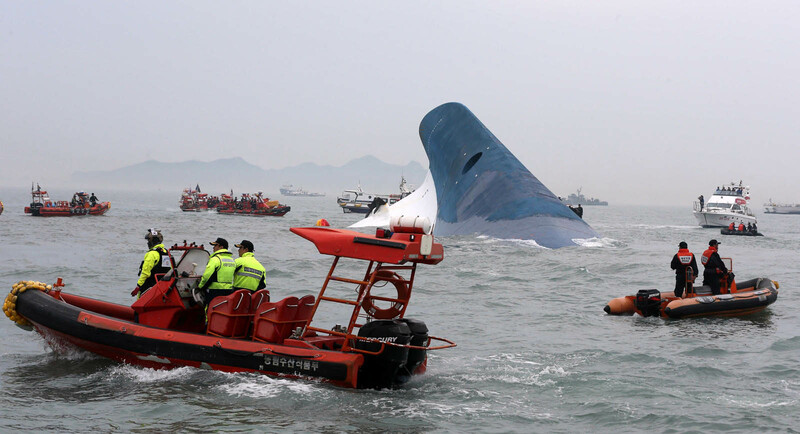 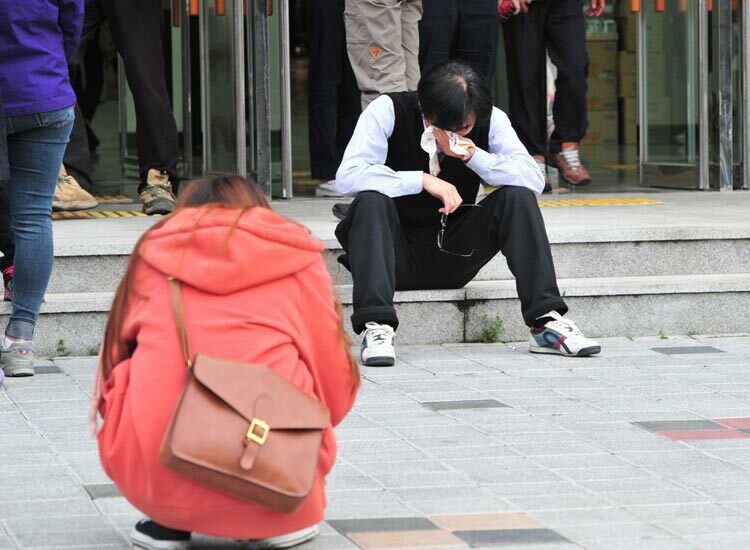 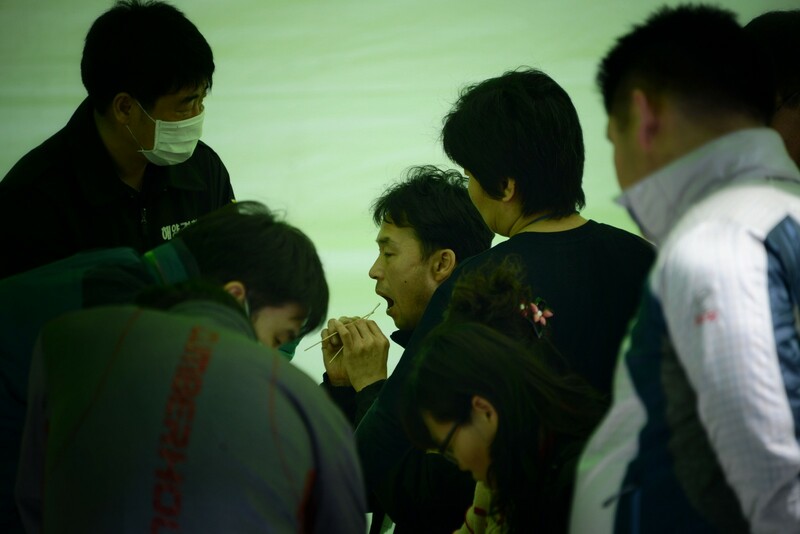 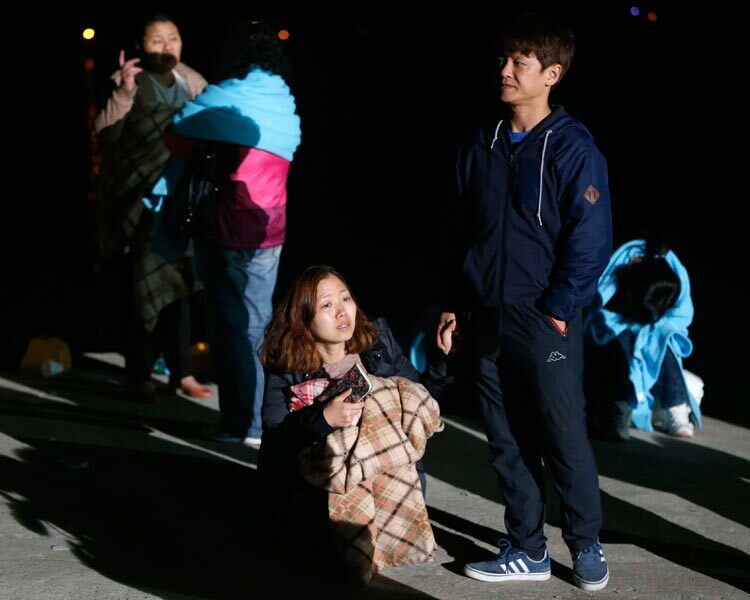 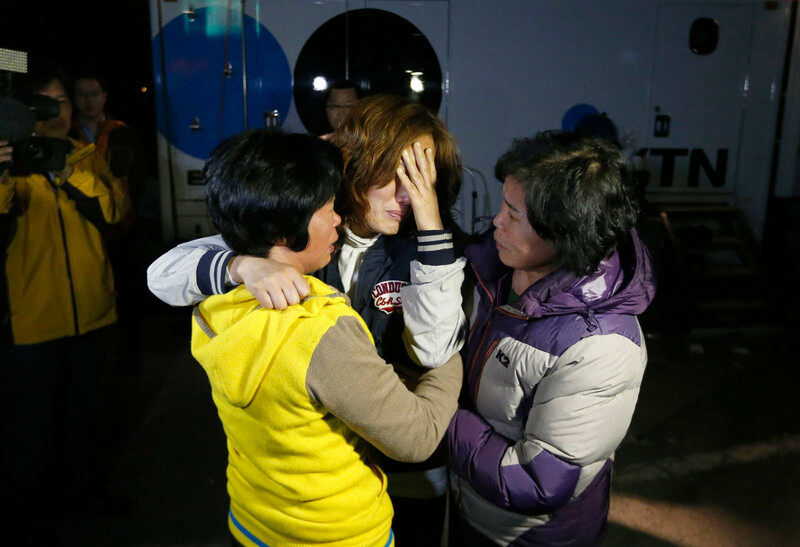 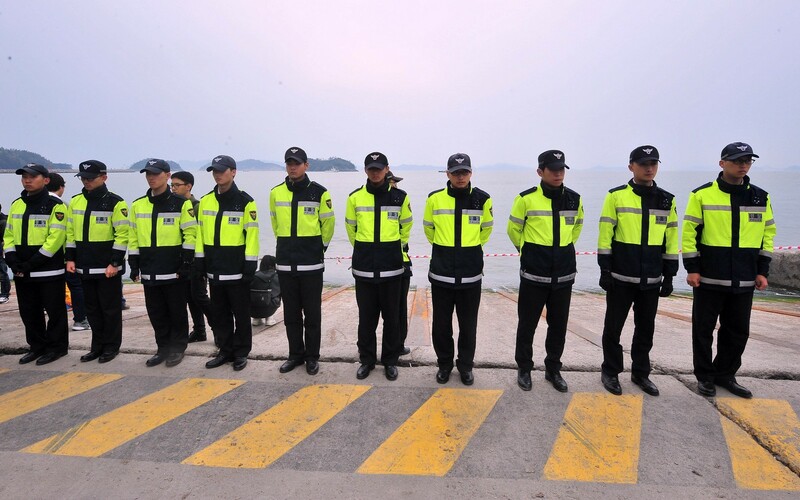 SEOUL - More than 300 people were missing after a ferry sank off South Korea, the coastguard said on Wednesday, with a three-fold increase in the number of passengers unaccounted for put down to a miscalculation by officials. 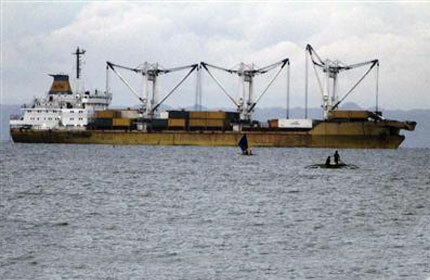 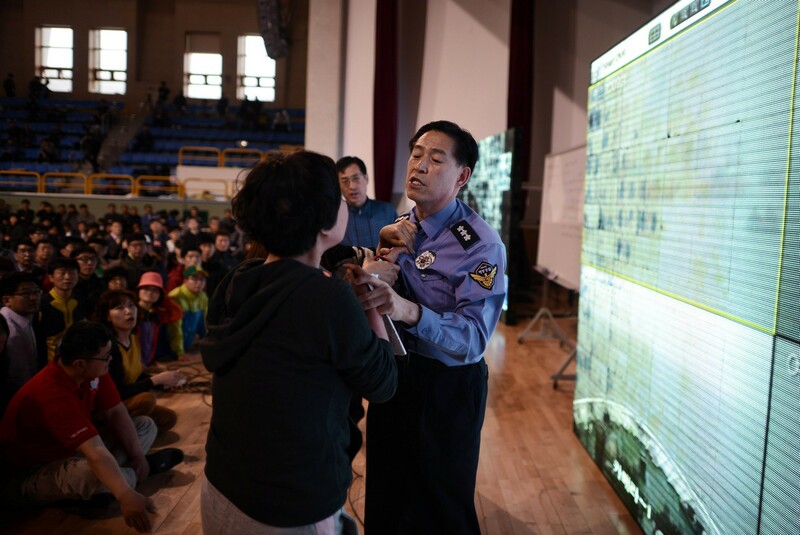 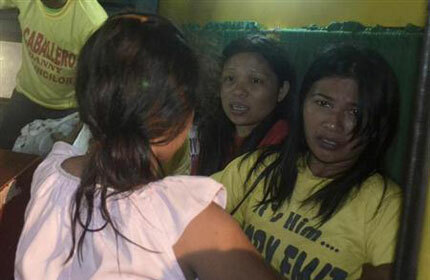 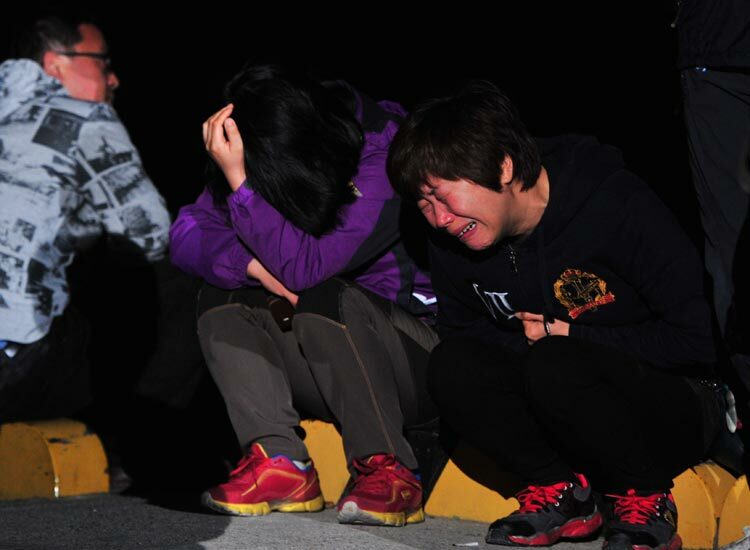 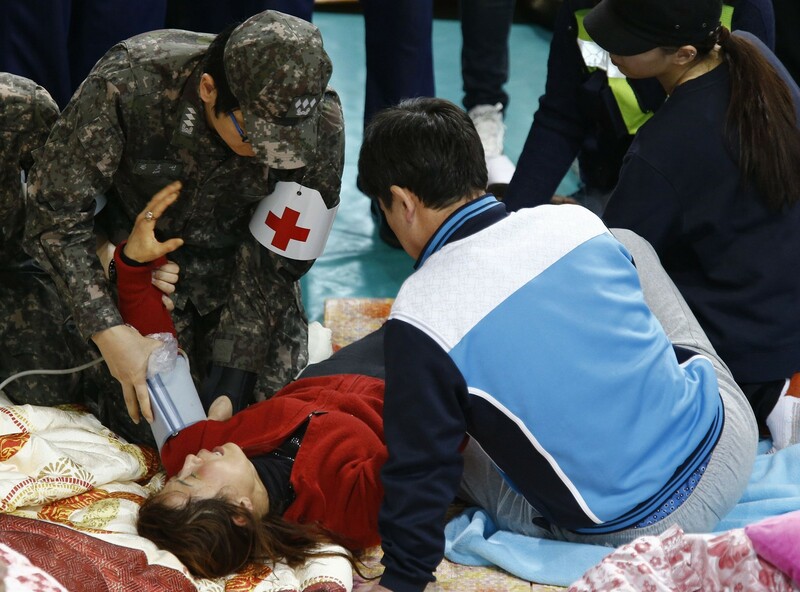 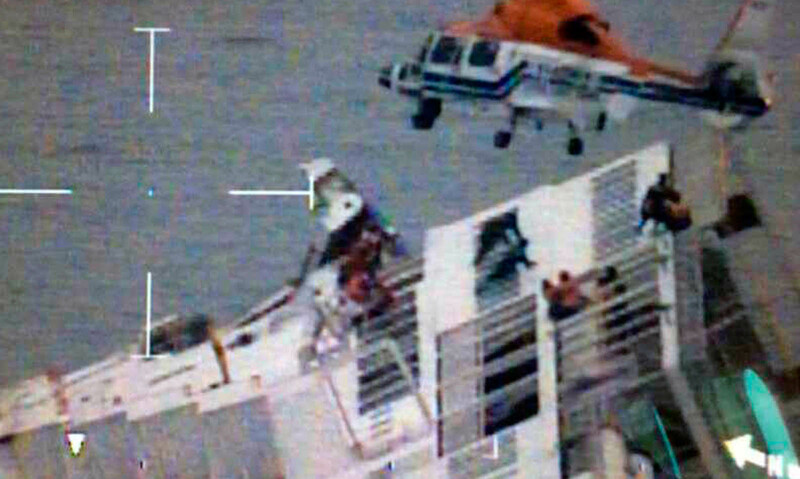 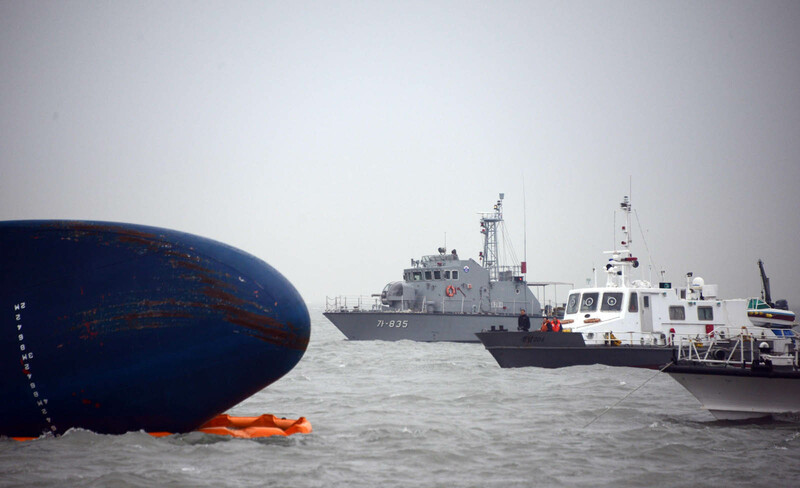 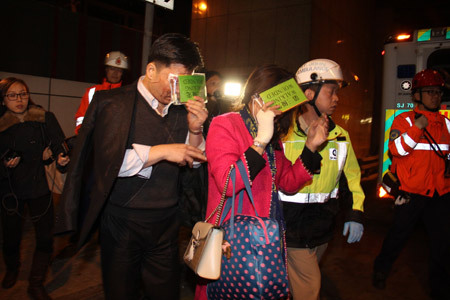 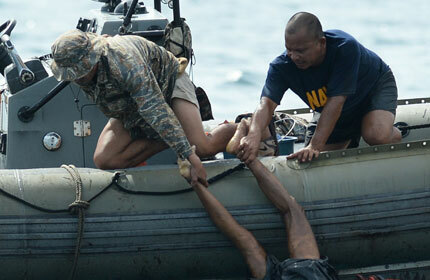 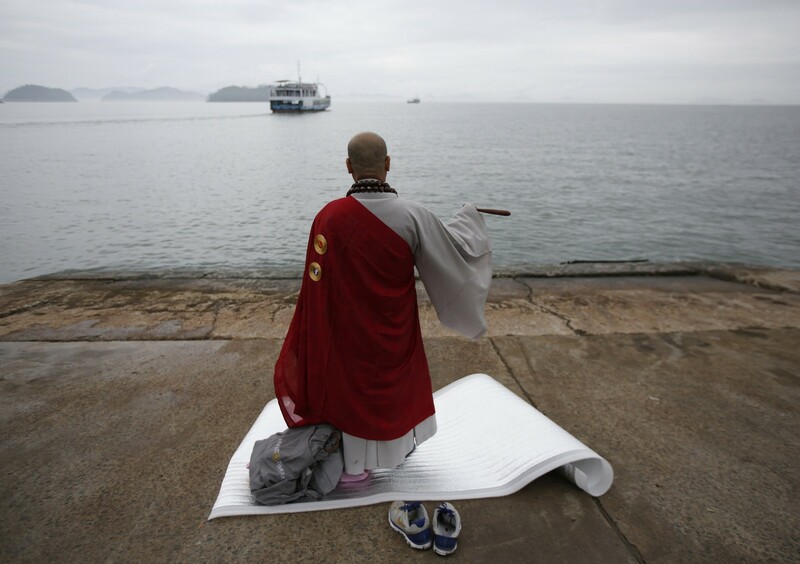 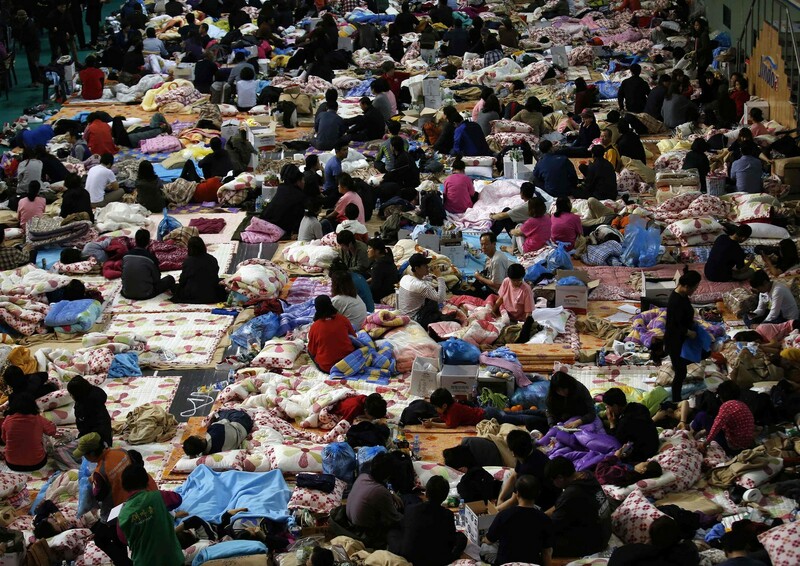 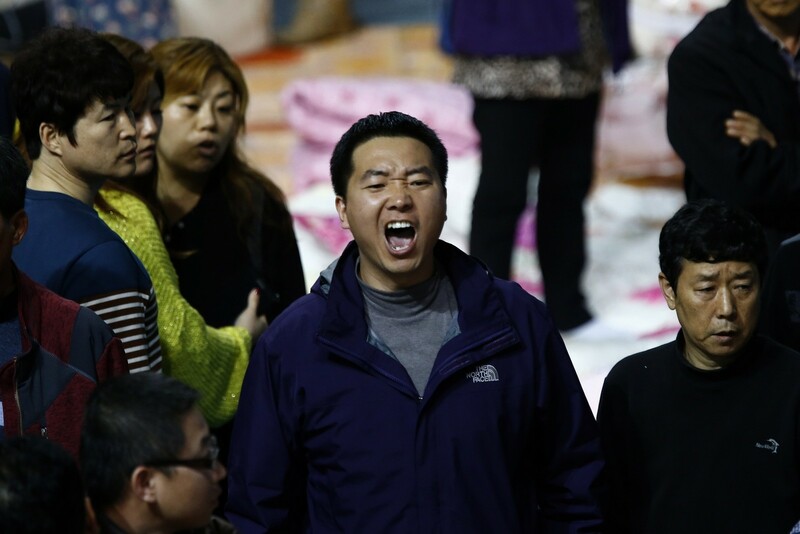 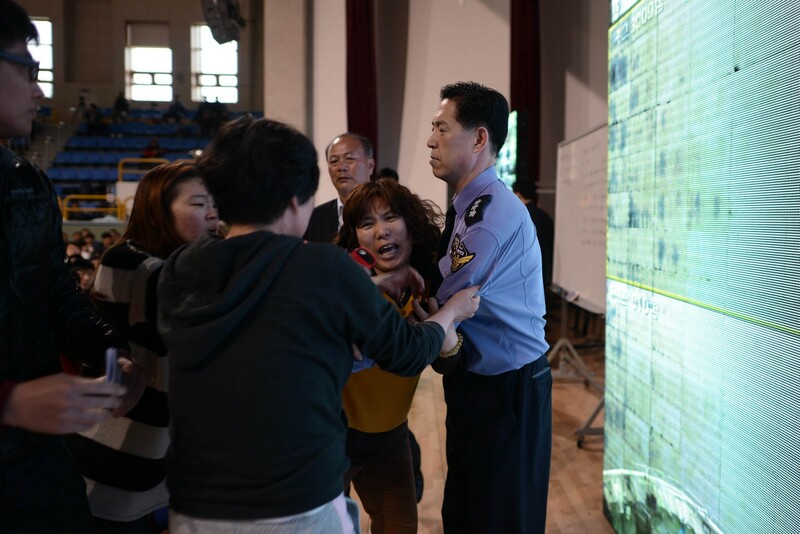 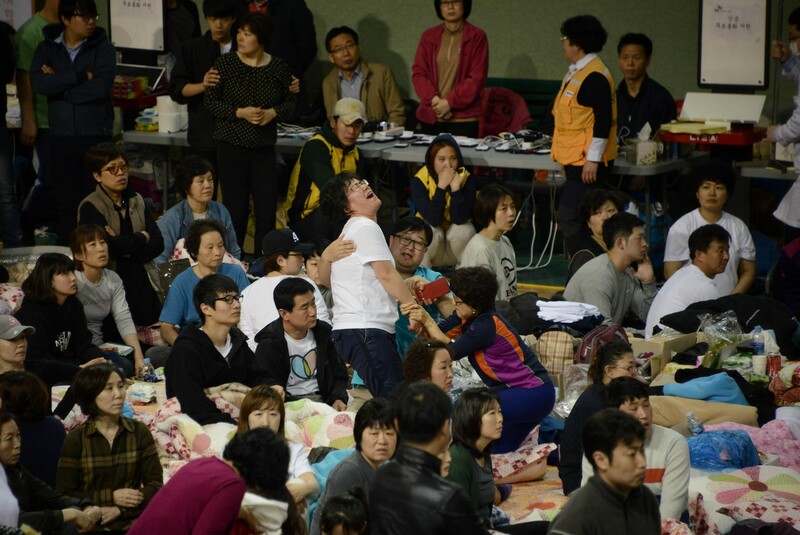 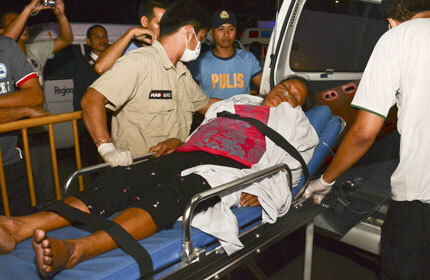 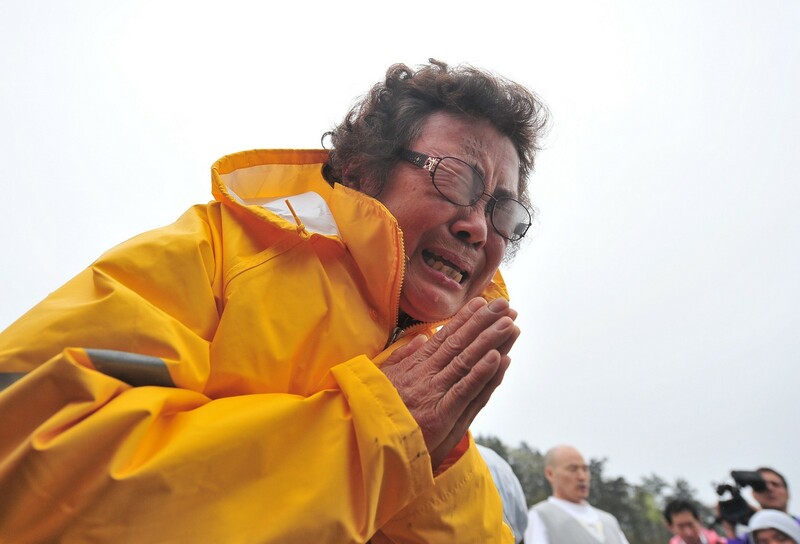 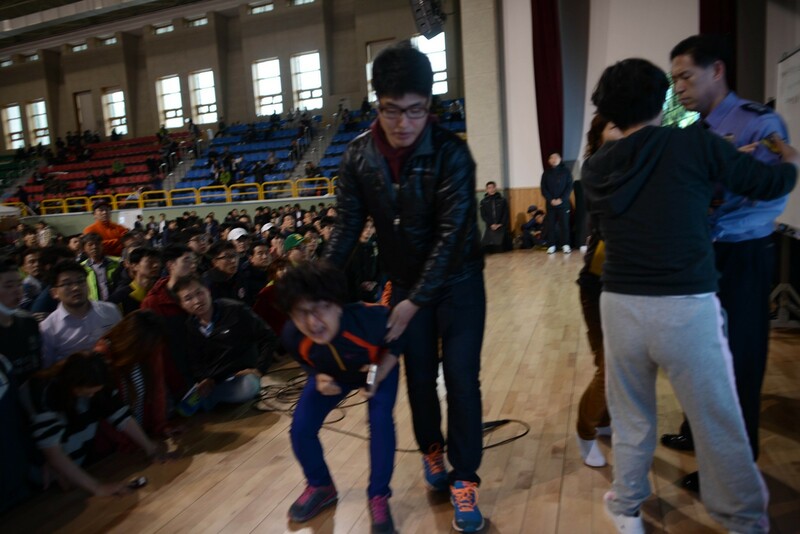 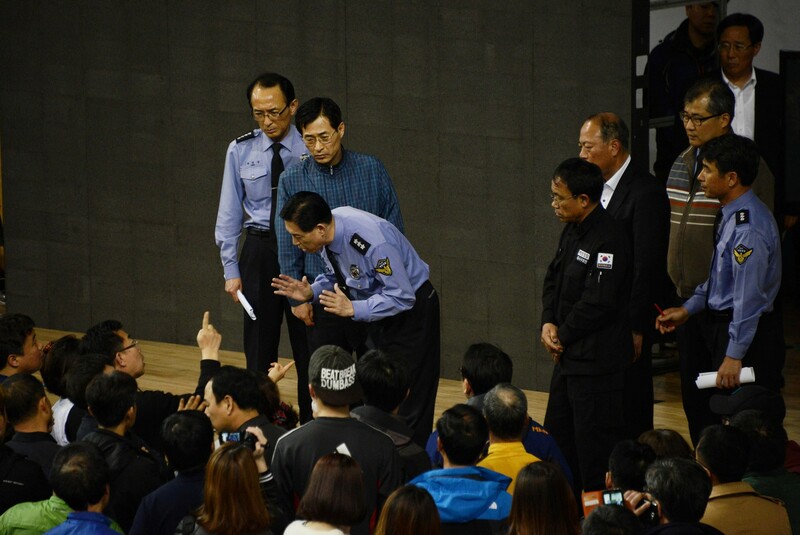 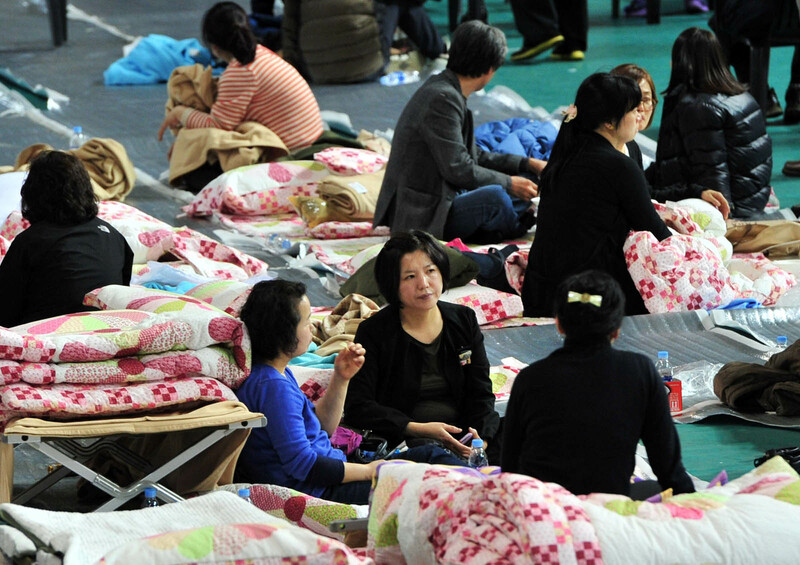 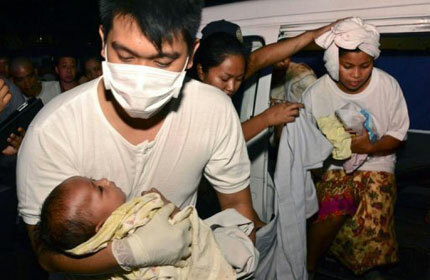 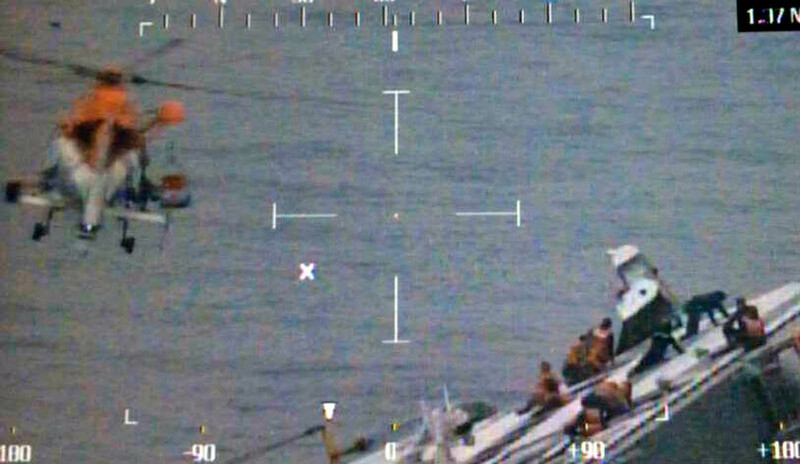 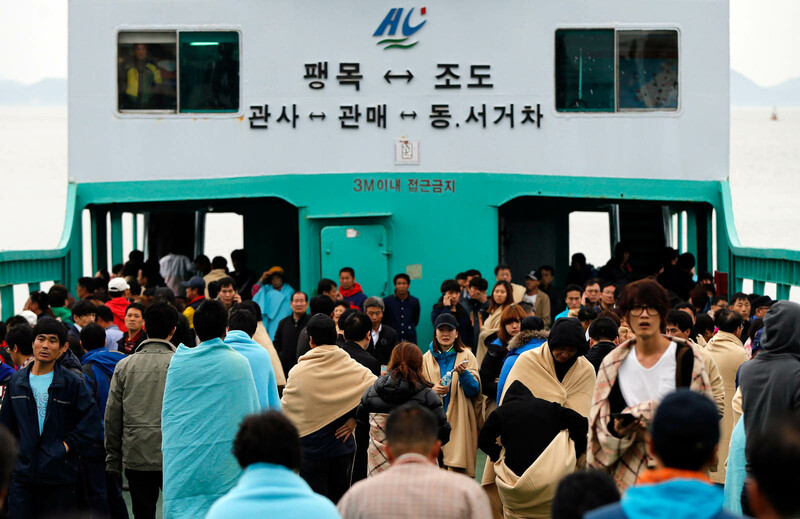 The ferry was carrying 477 people, of whom 164 were confirmed rescued, coastguard officials said. 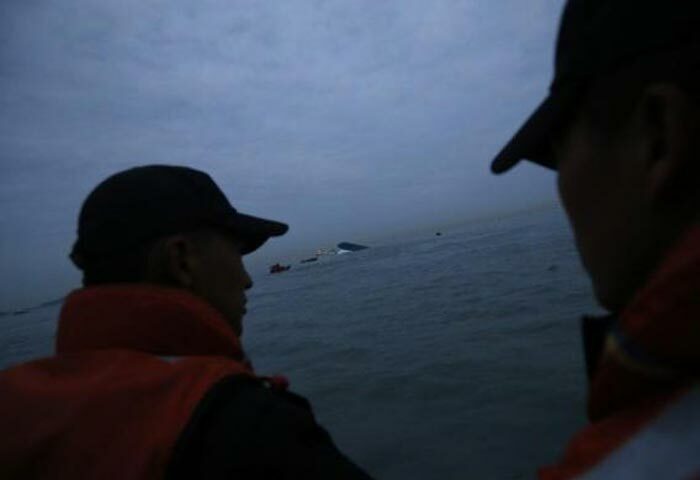 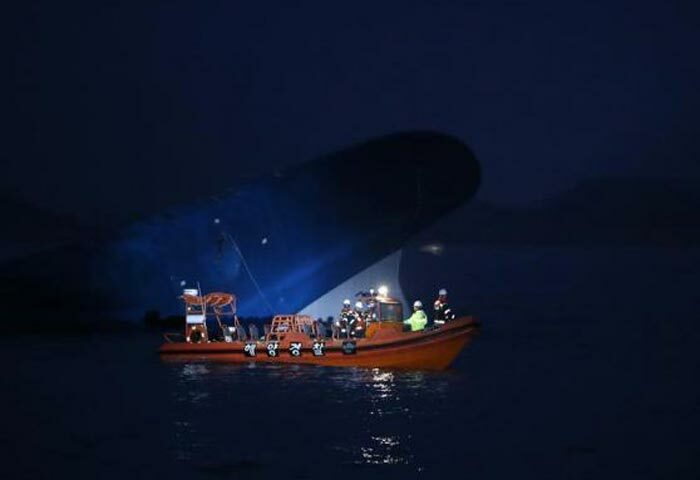 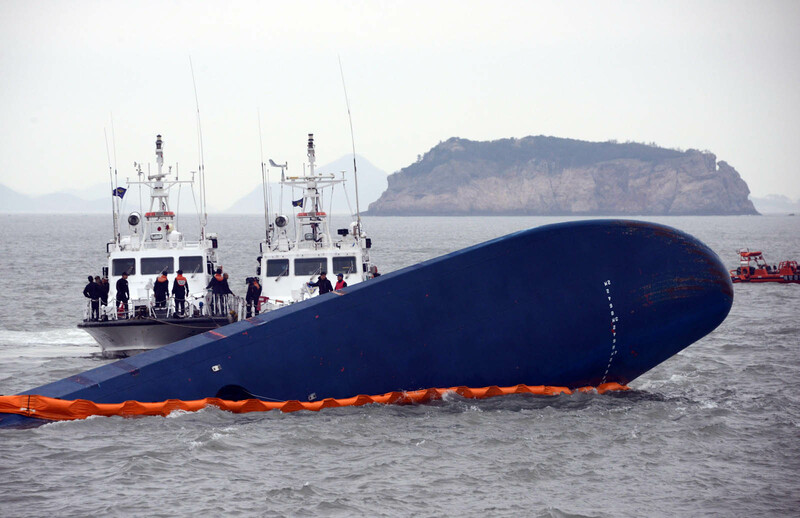 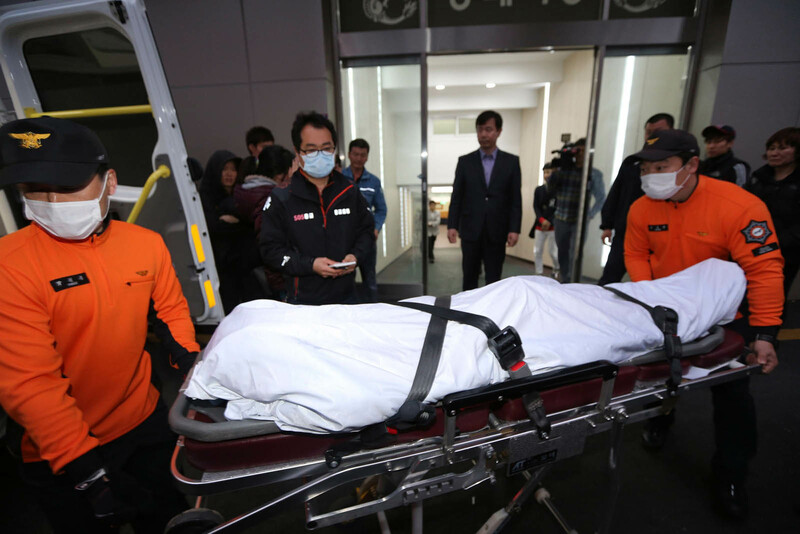 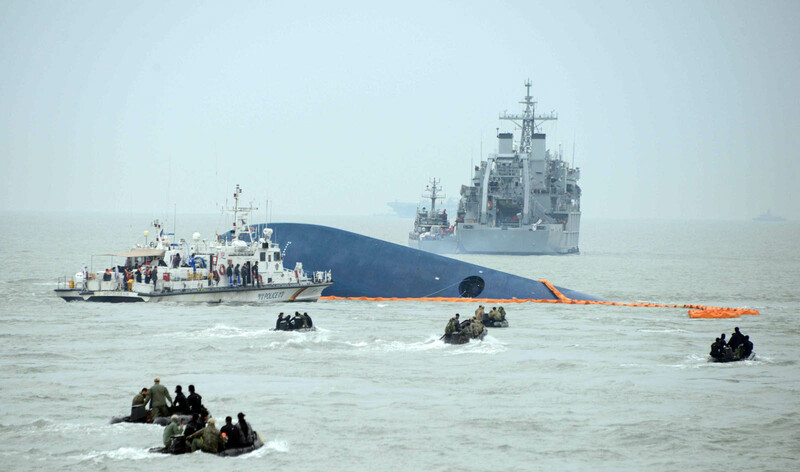 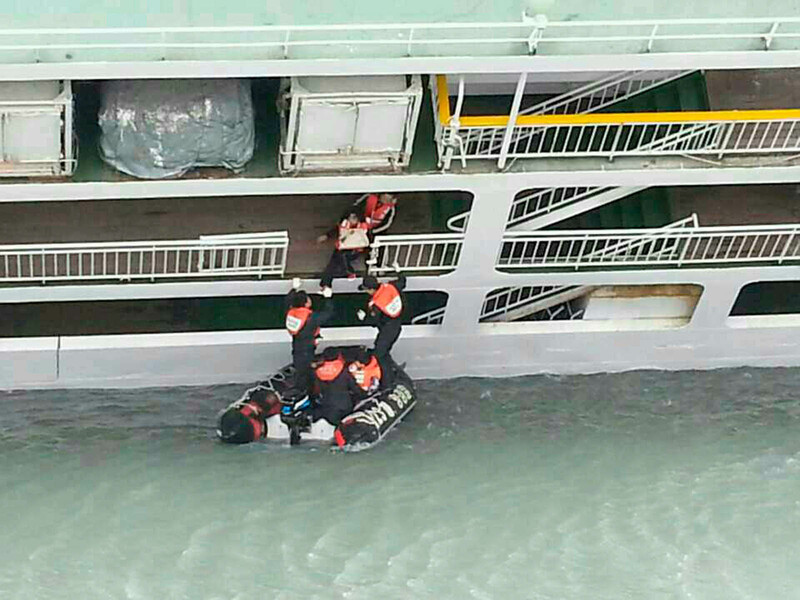 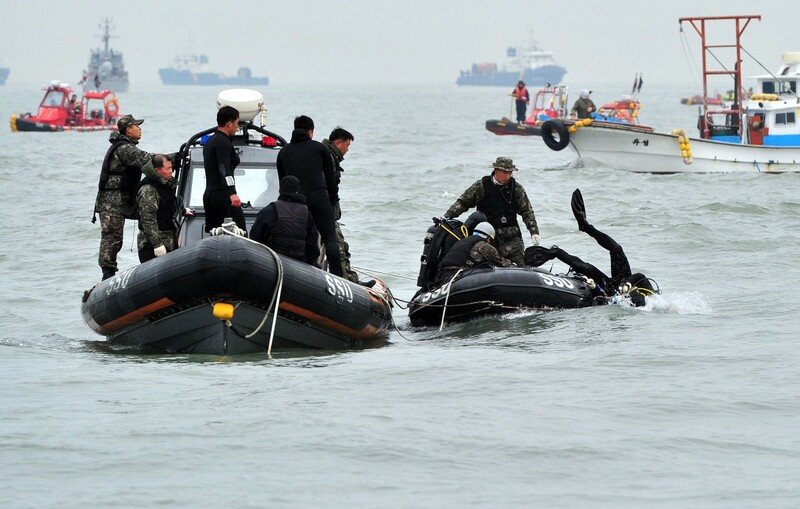 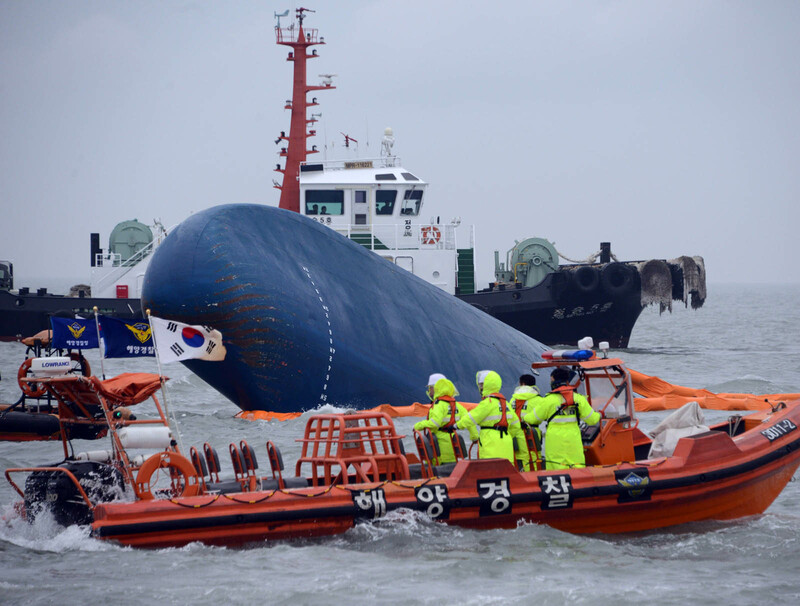 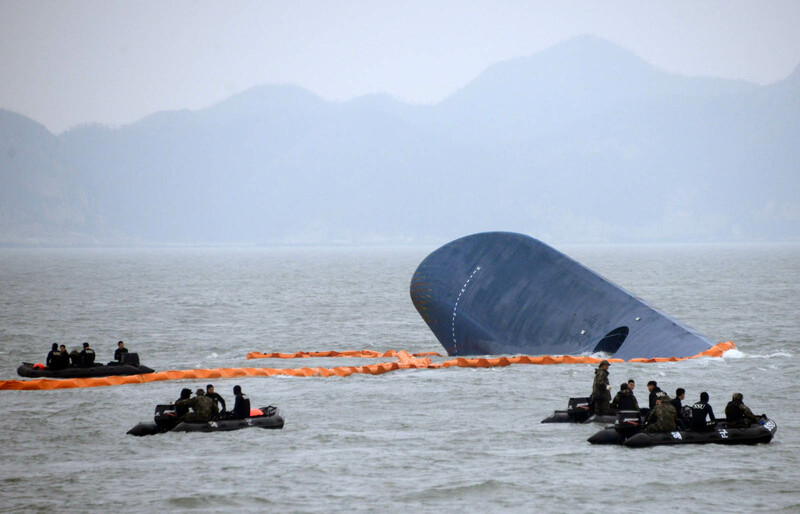 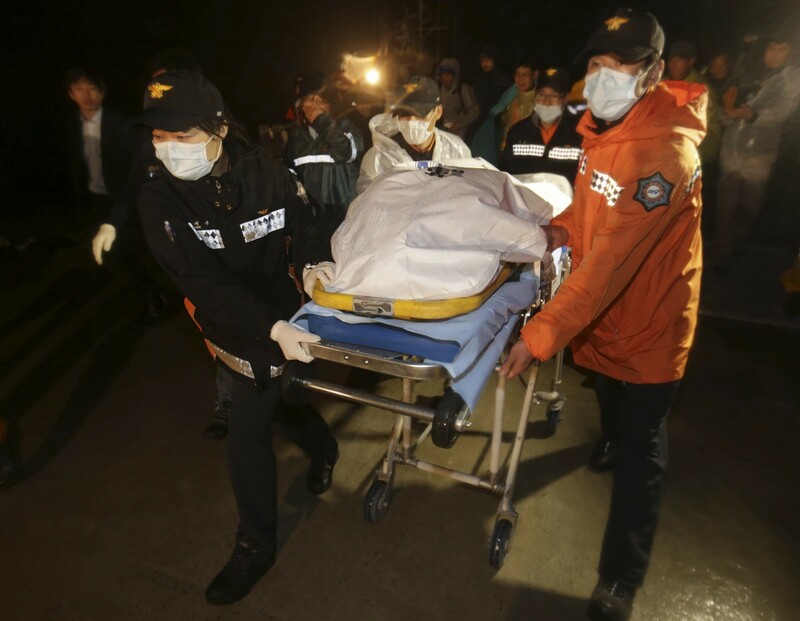 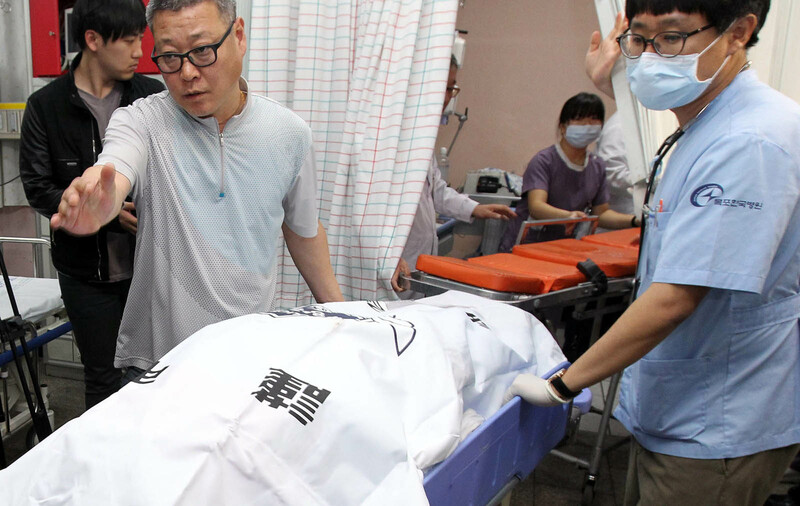 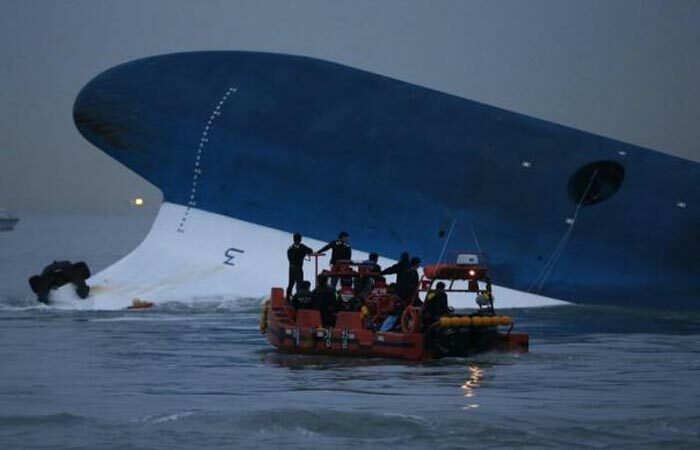 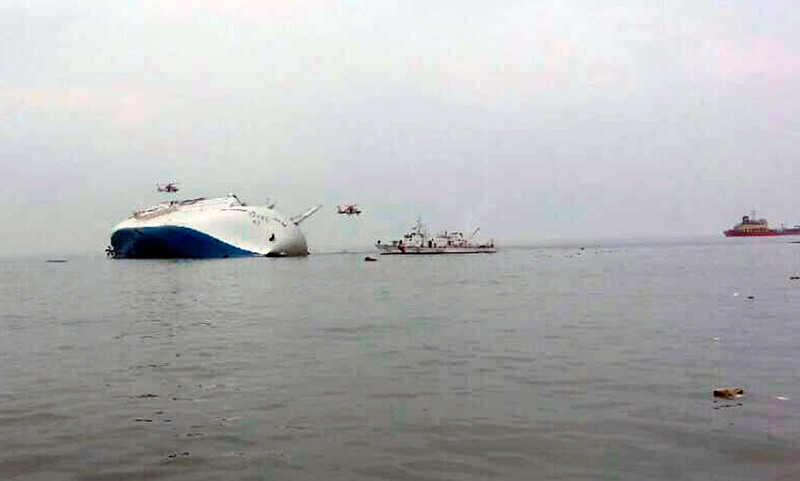 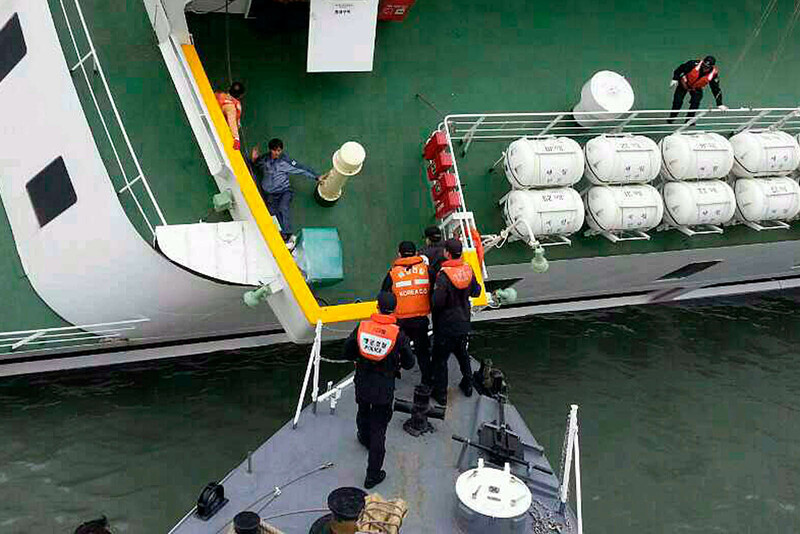 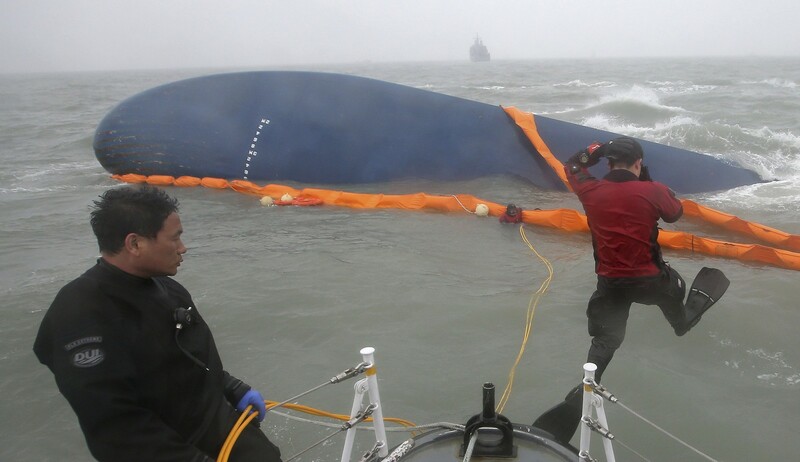 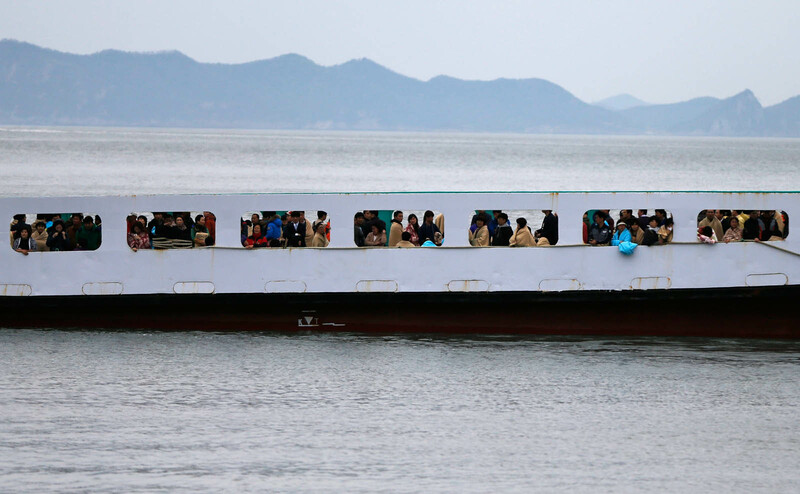 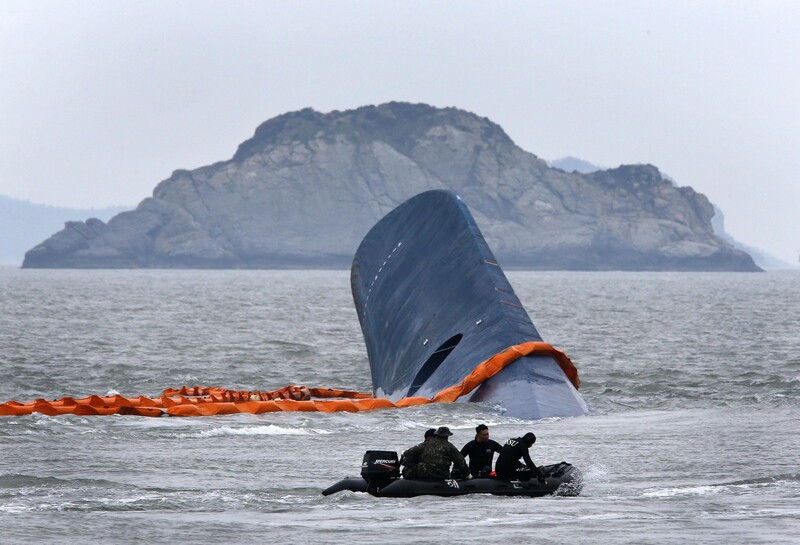 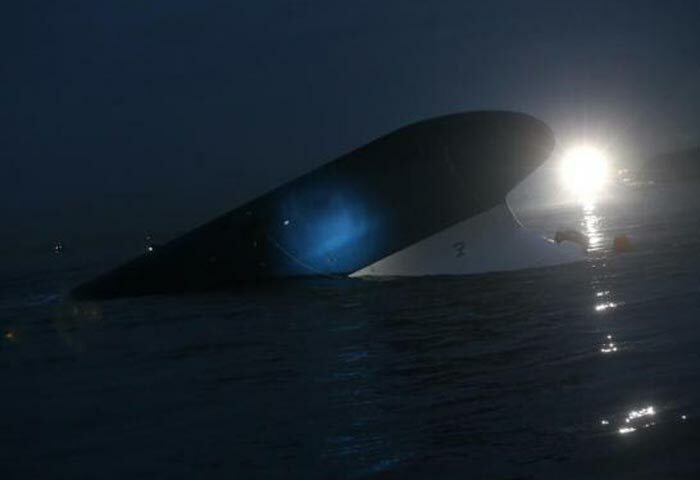 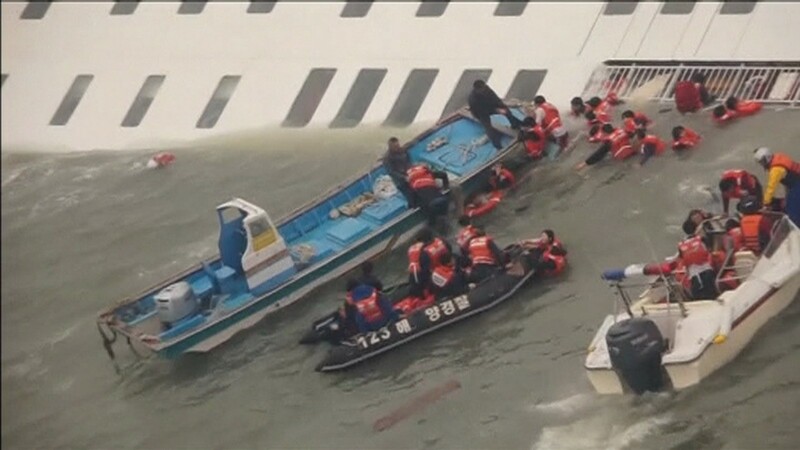 Two people were confirmed dead after the ferry listed heavily onto its side and capsized in apparently calm conditions off South Korea's southwest coast. 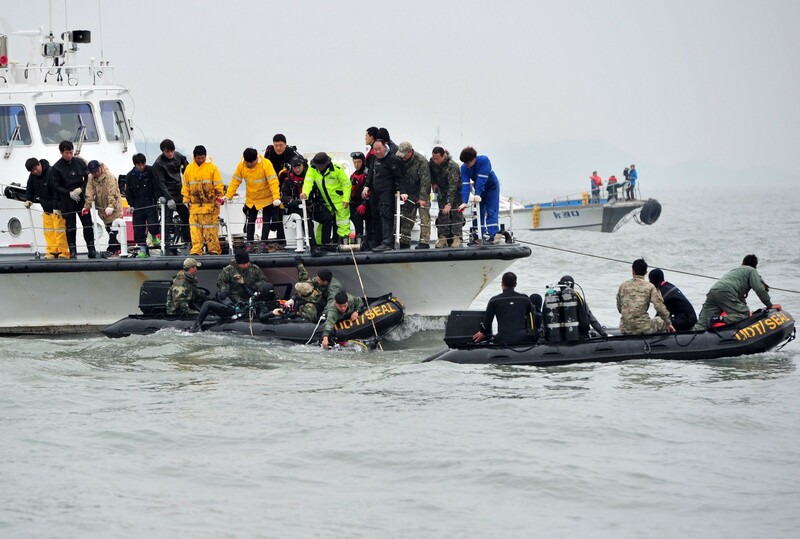 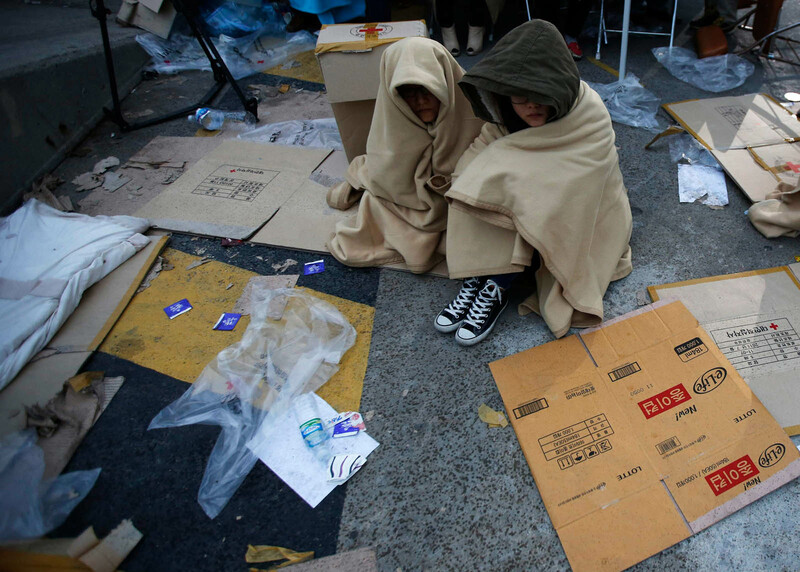 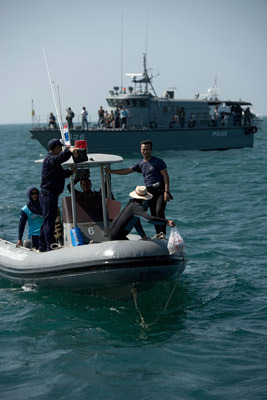 The Ministry of Security and Public Administration had reported that 368 people had been rescued and that about 100 were missing. 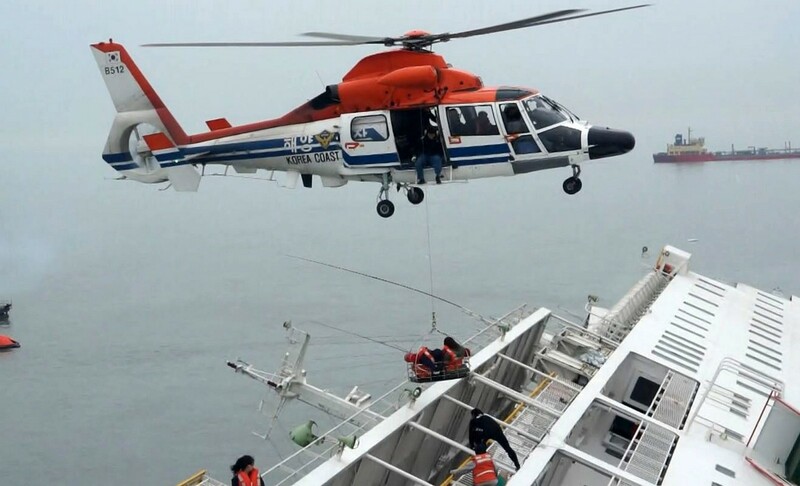 It later described those figures as a miscalculation, turning what had first appeared to be a largely successful rescue operation into potentially a major disaster. 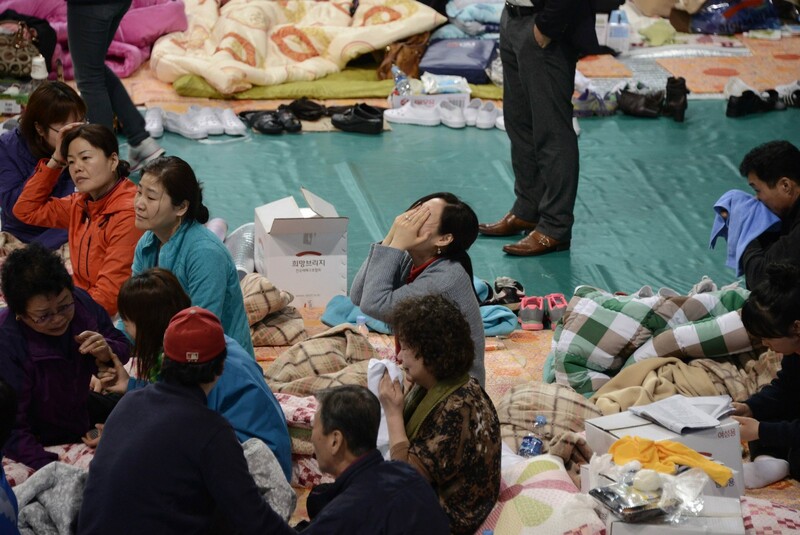 The cause of the disaster was not immediately clear. 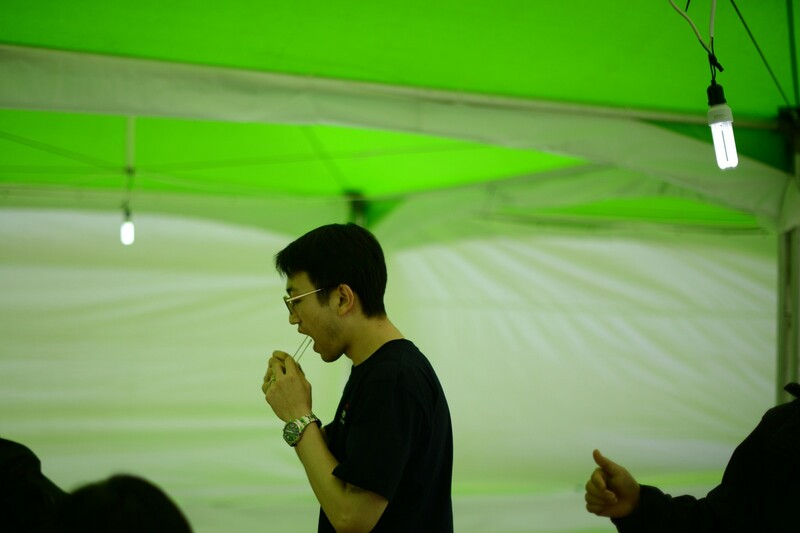 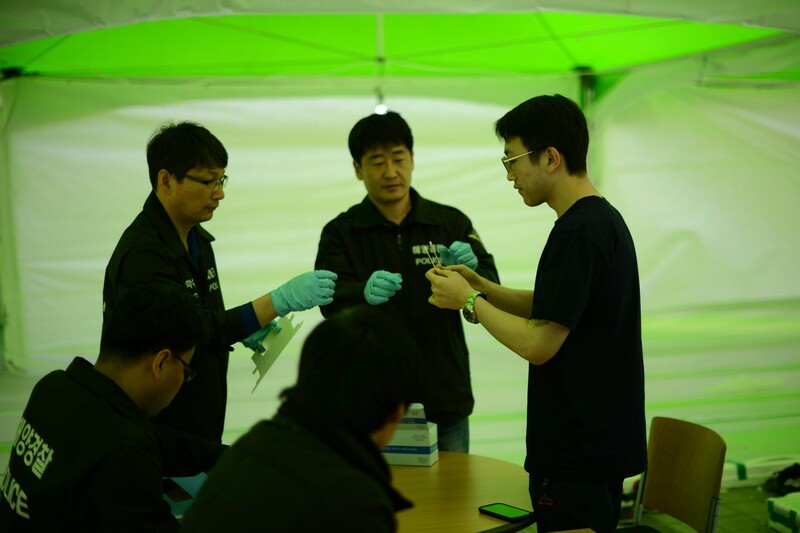 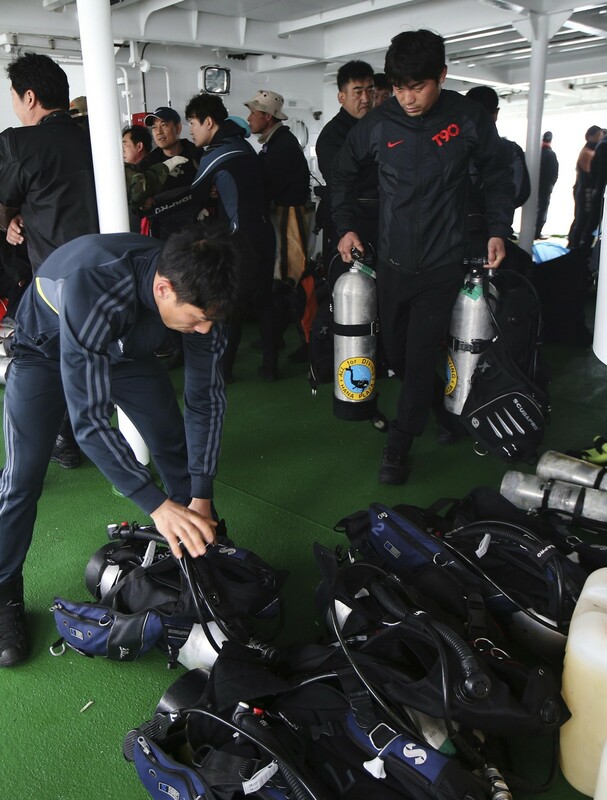 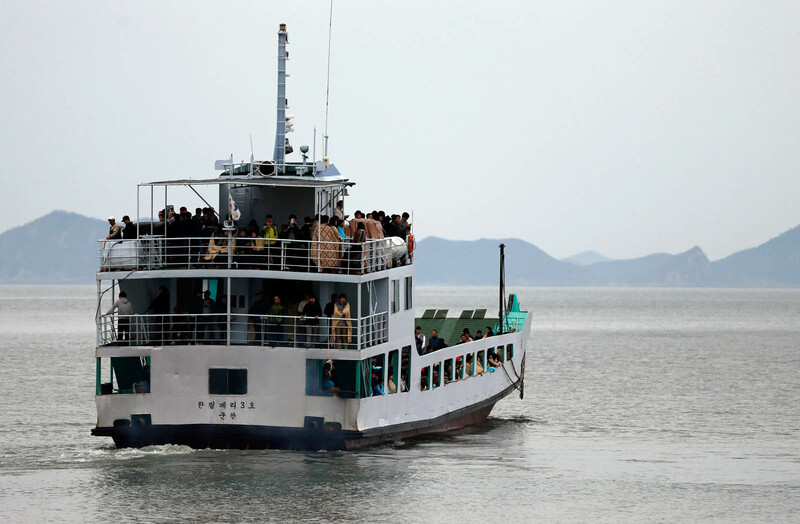 Most of those on board were children and their teachers from a high school in Seoul on a field trip to Jeju island, about 100 km (60 miles) south of the Korean peninsula. 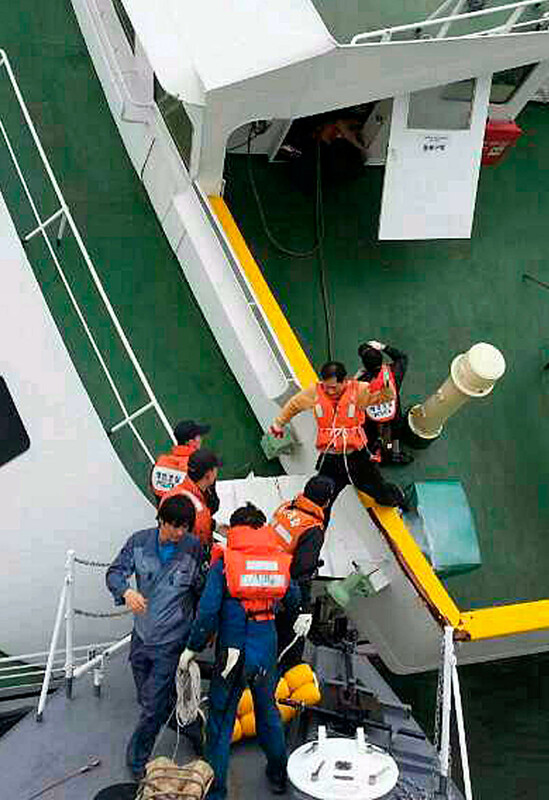 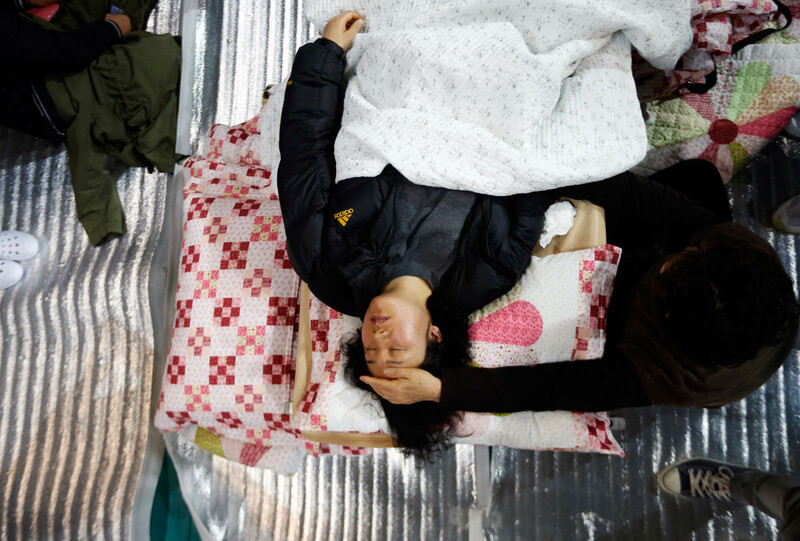 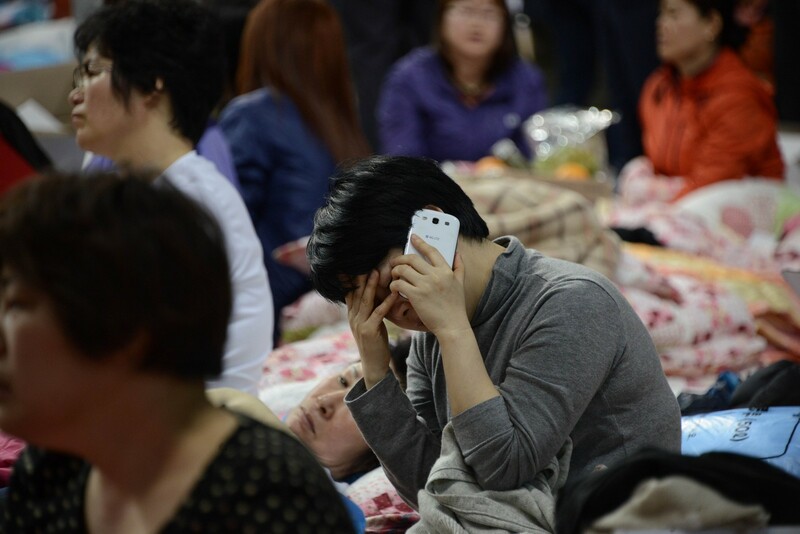 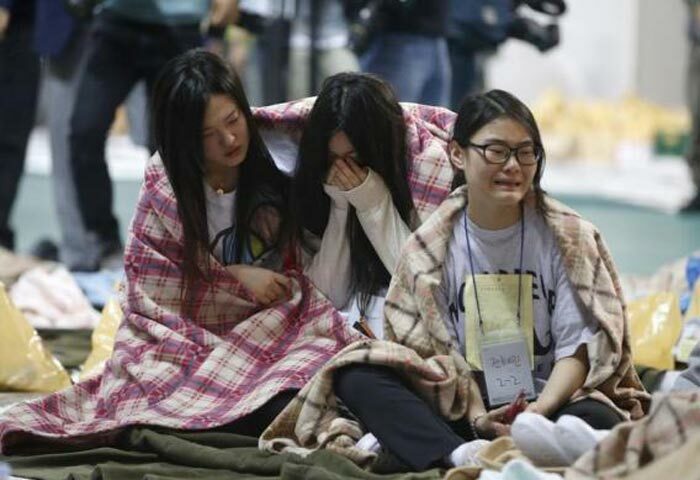 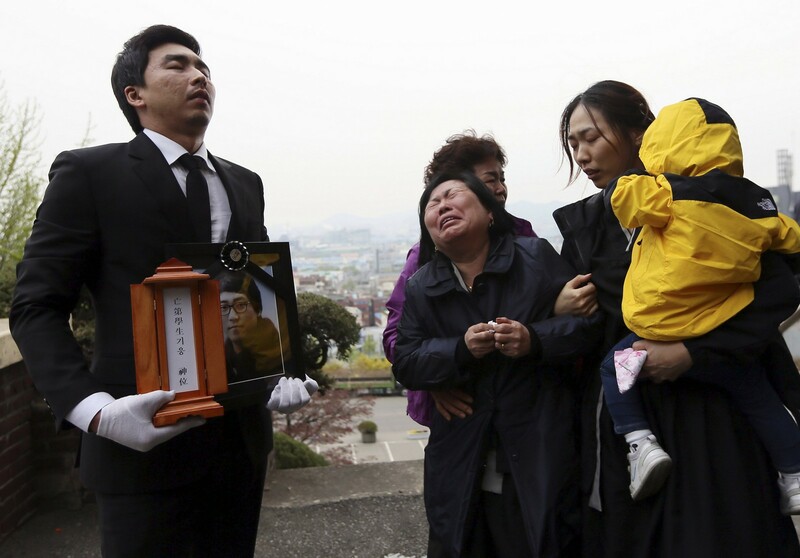 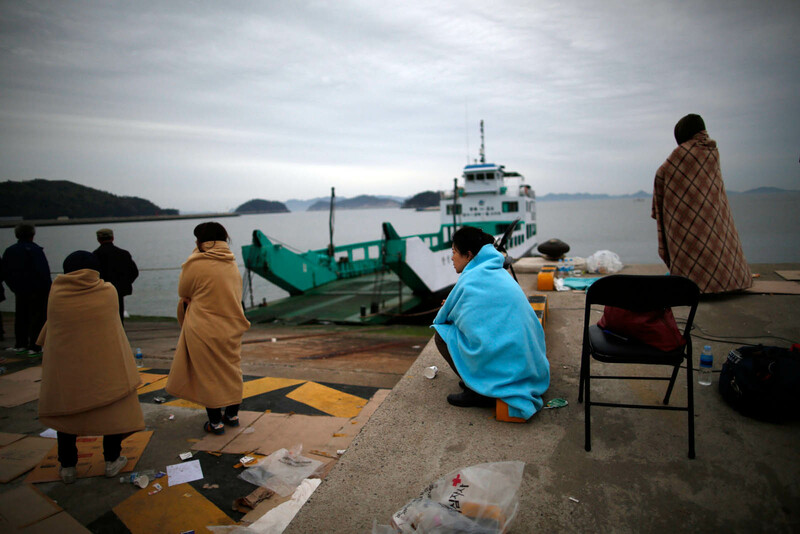 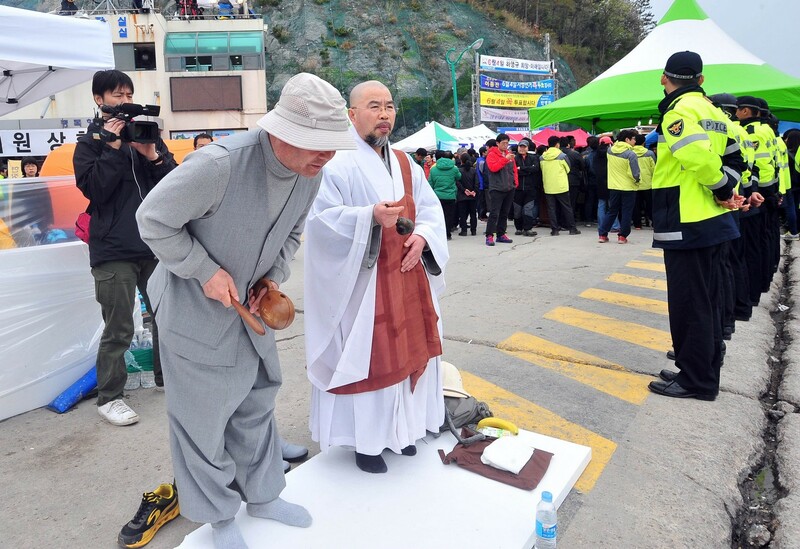 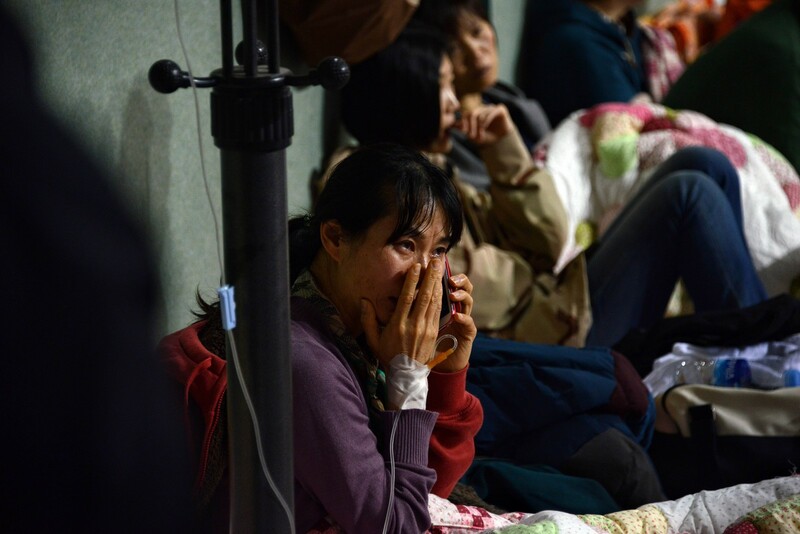 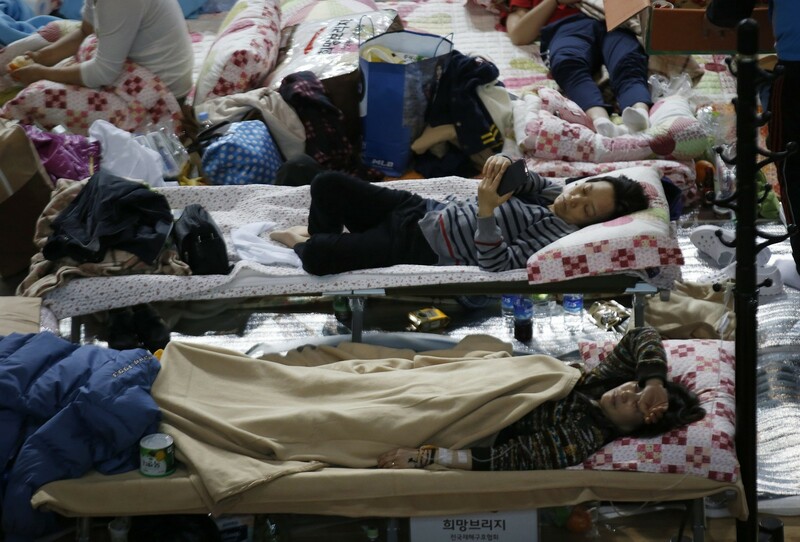 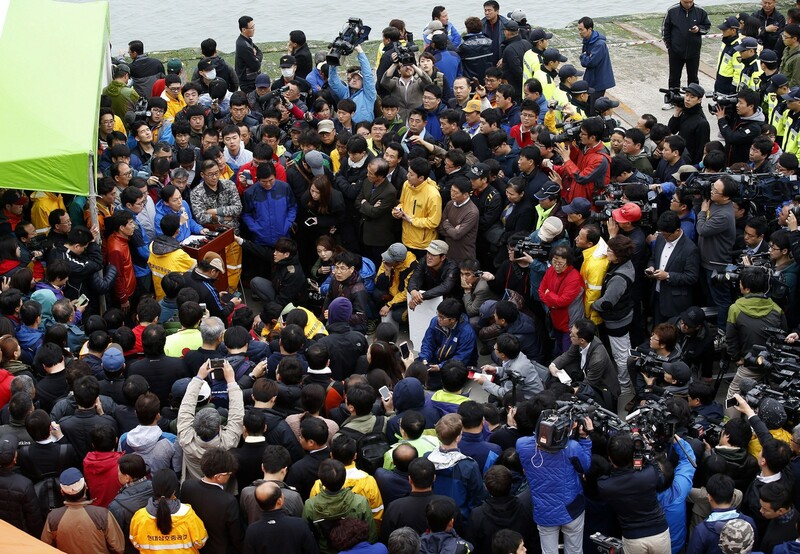 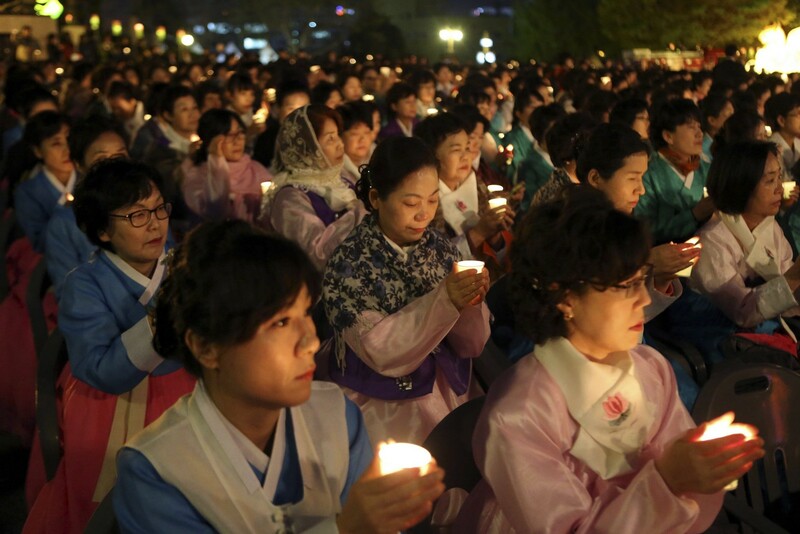 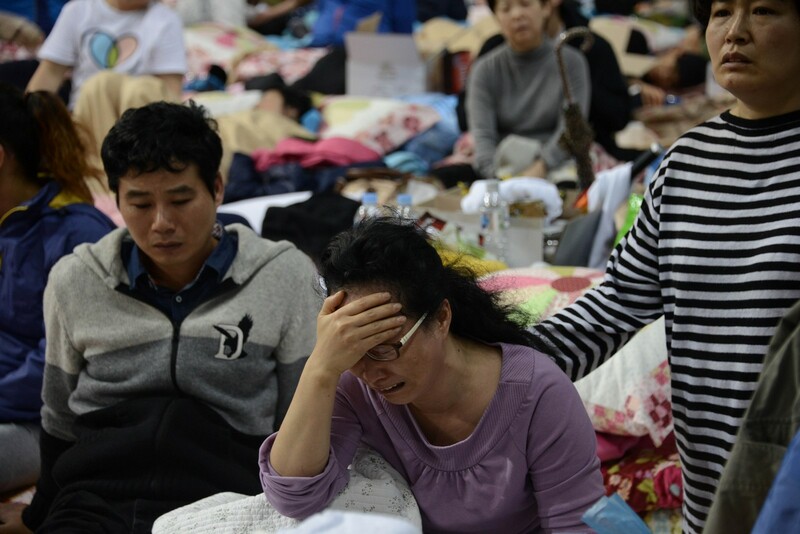 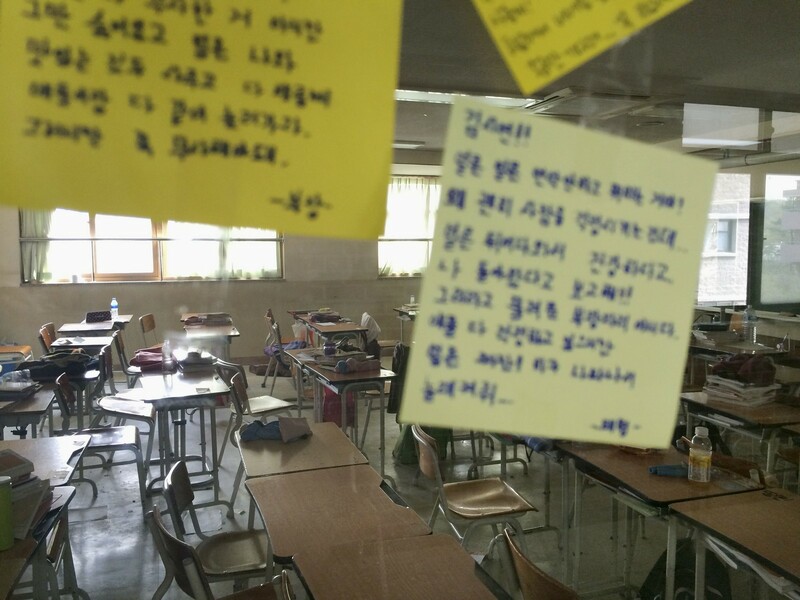 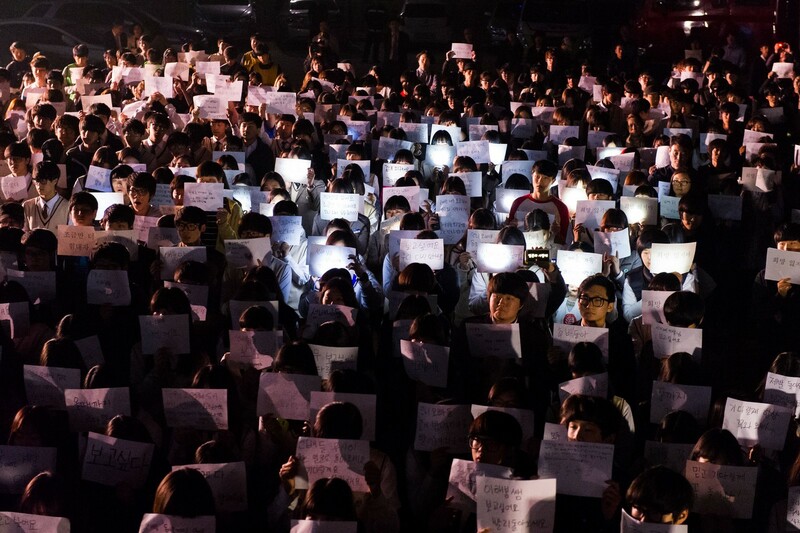 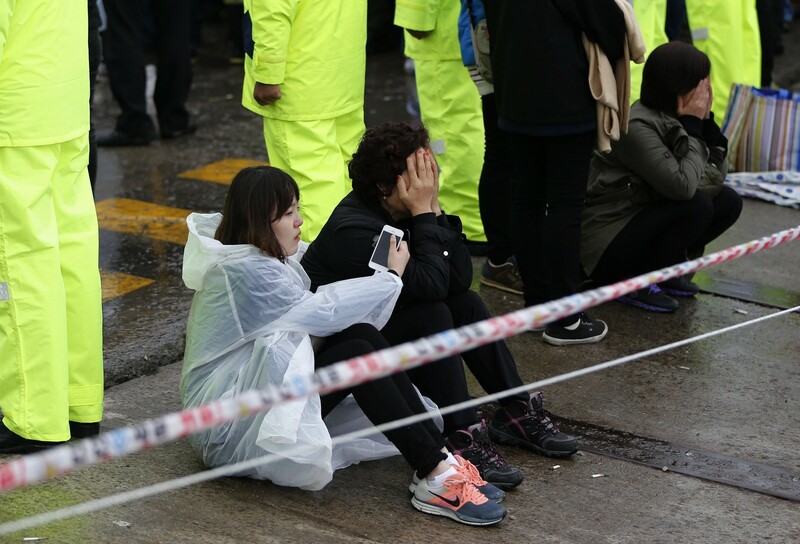 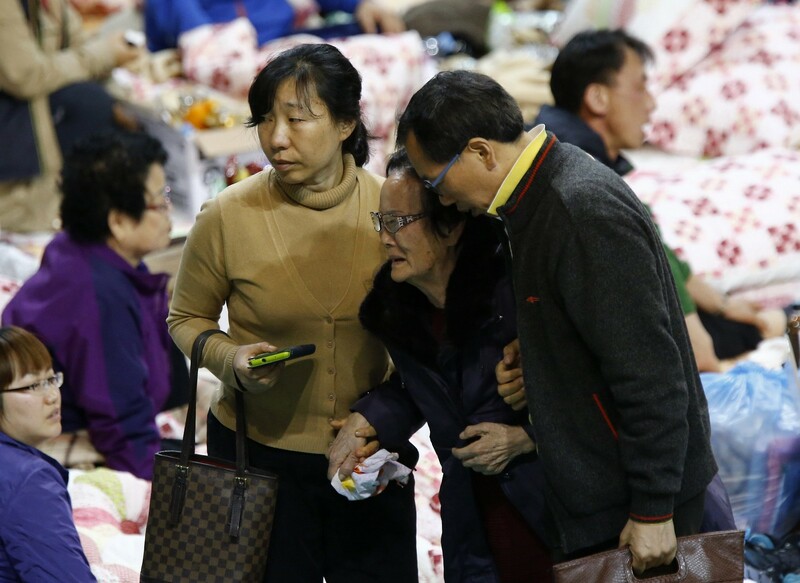 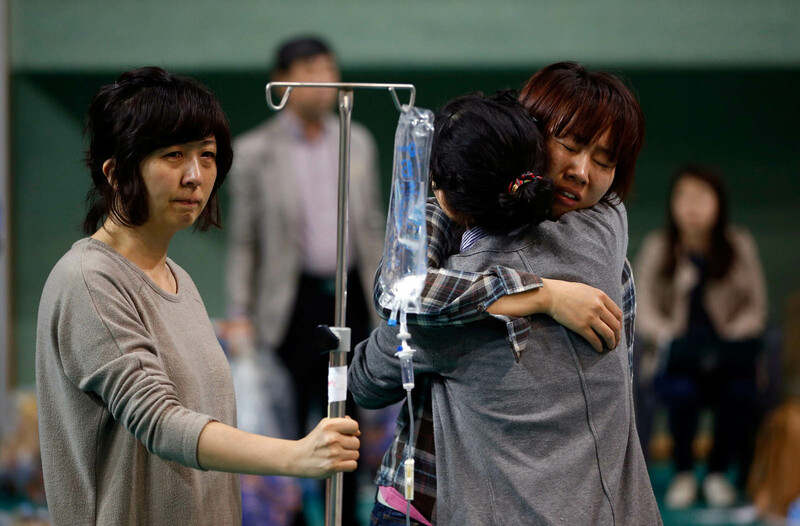 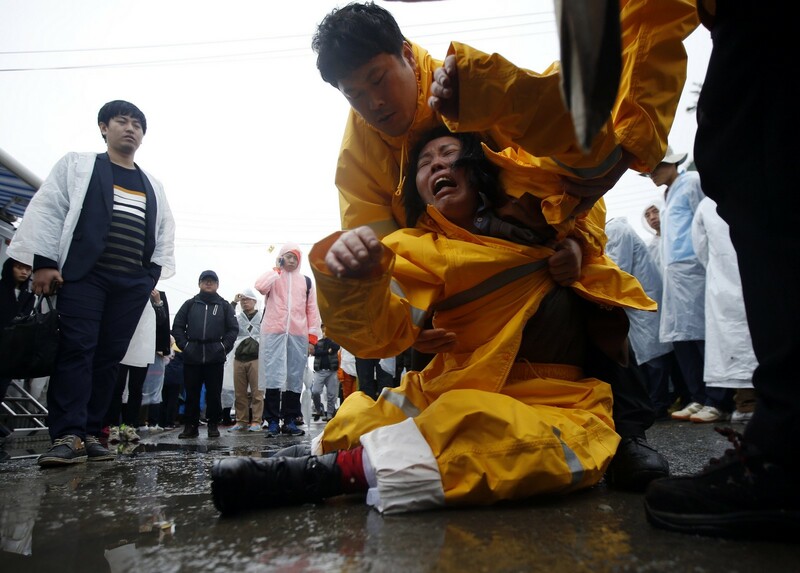 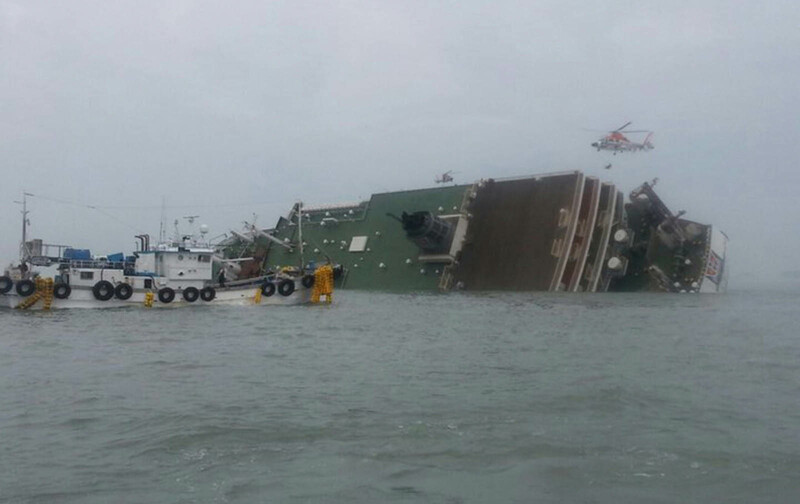 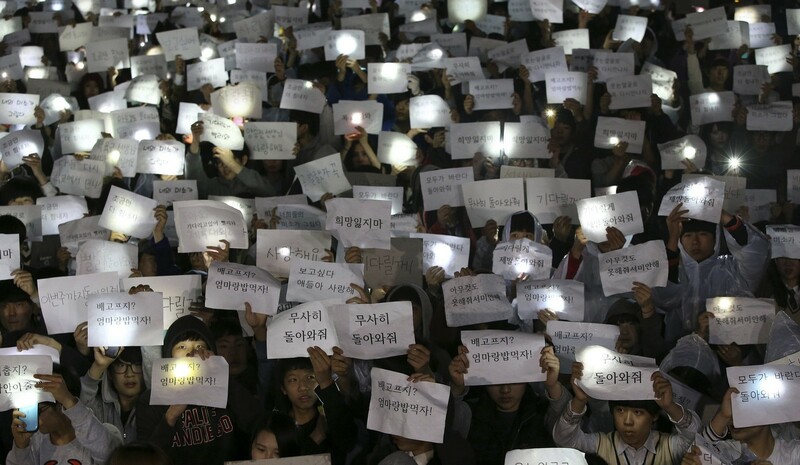 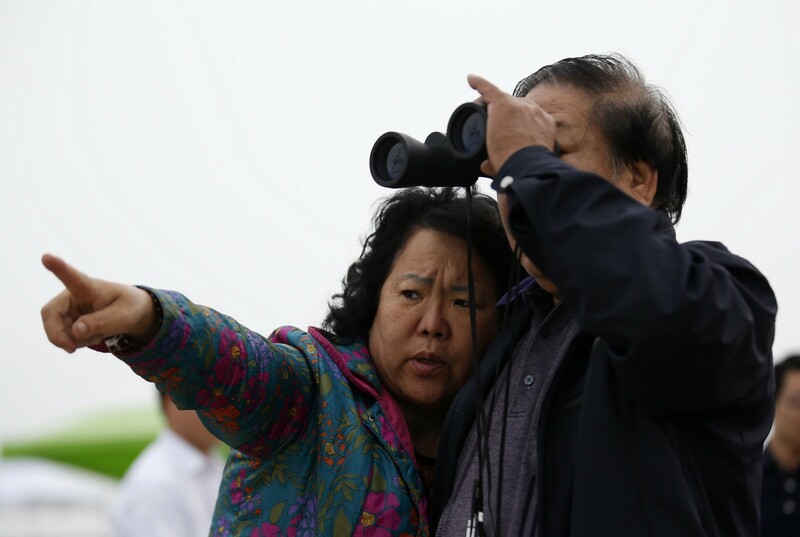 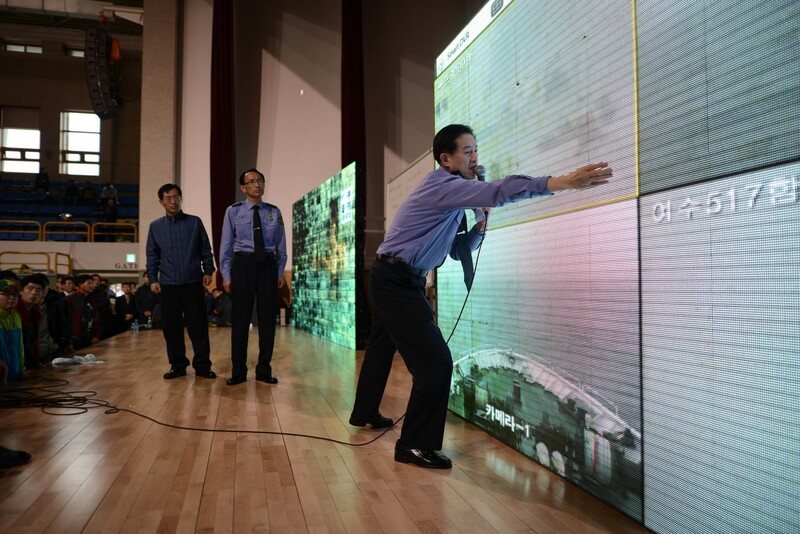 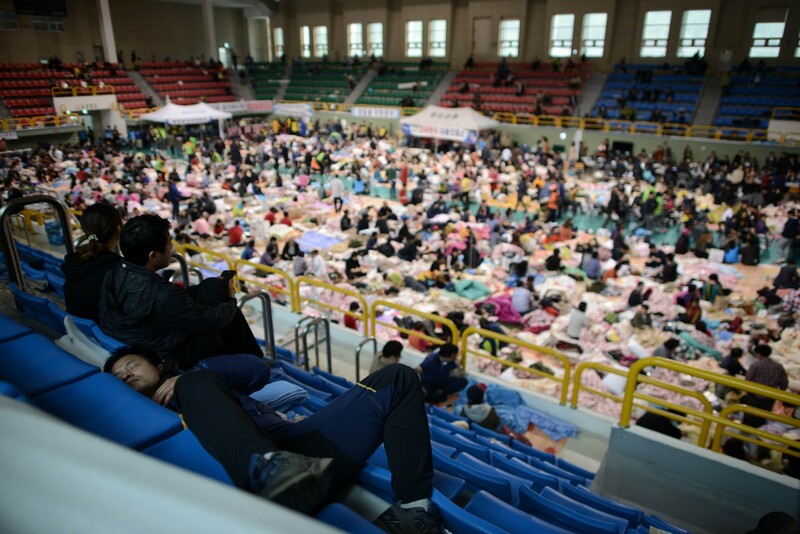 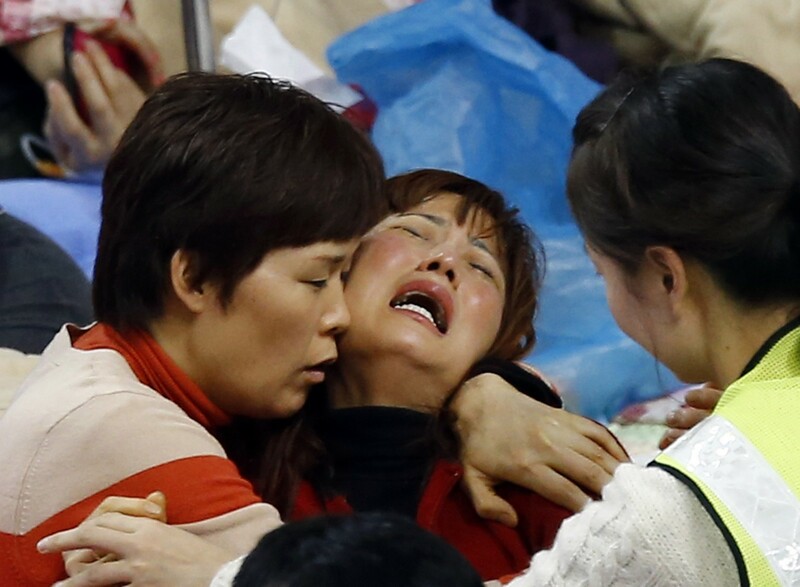 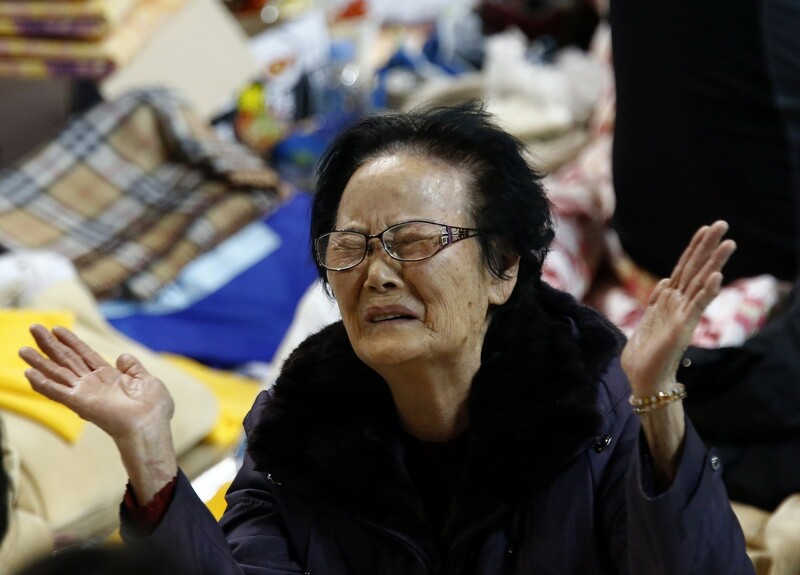 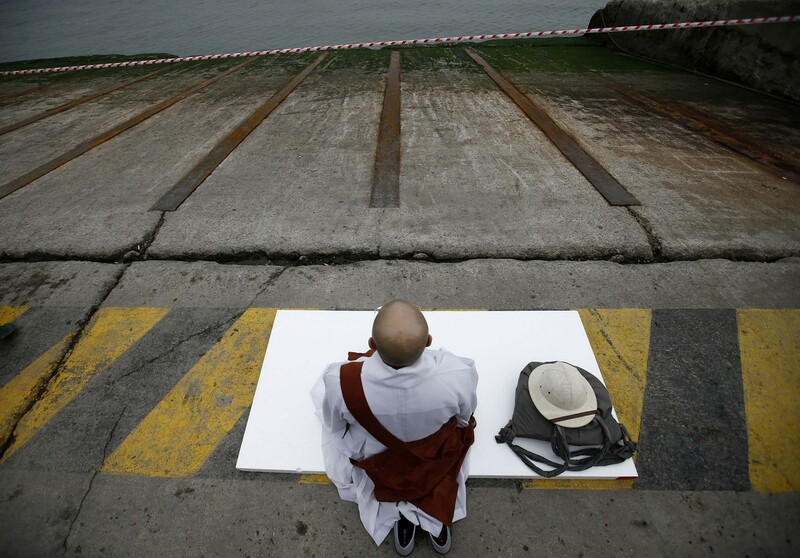 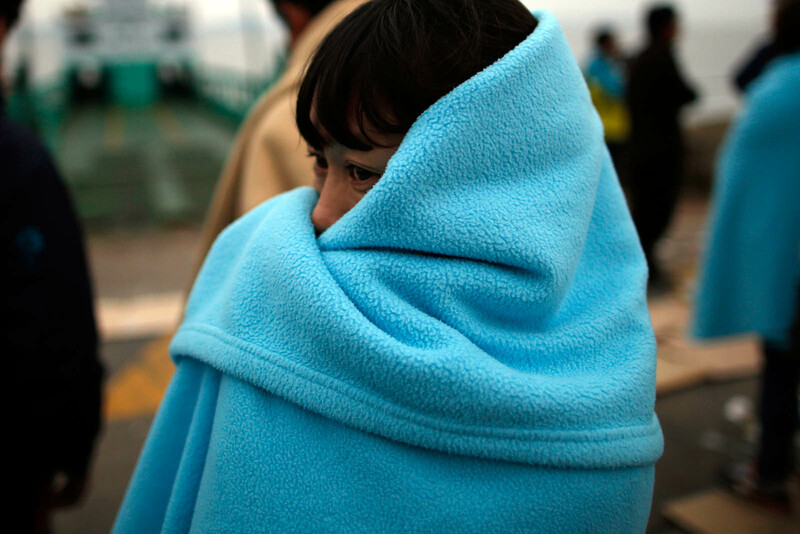 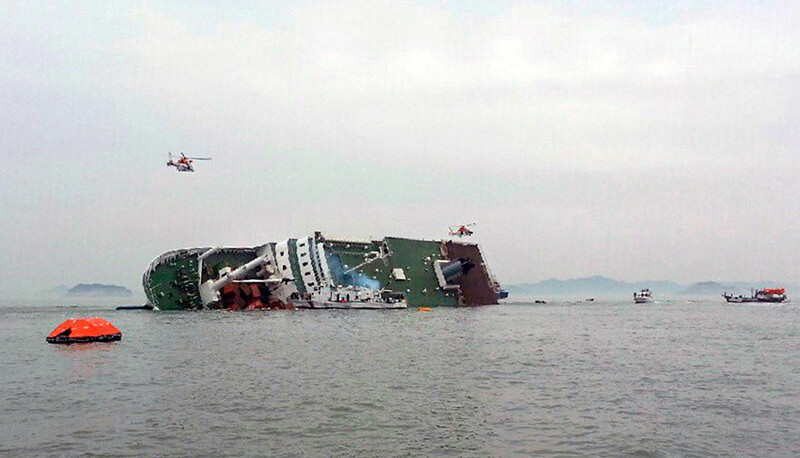 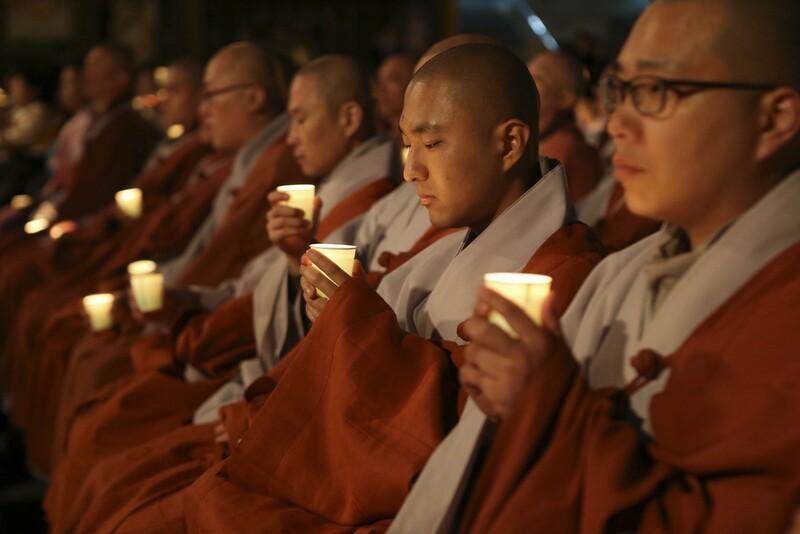 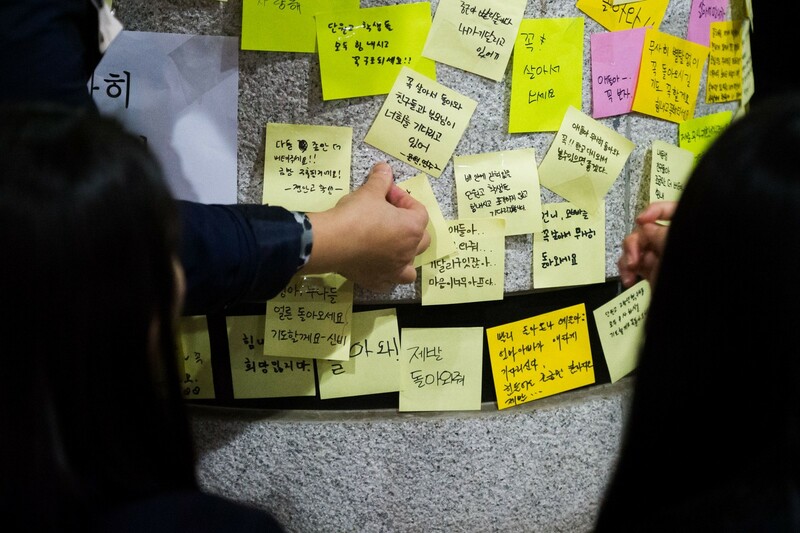 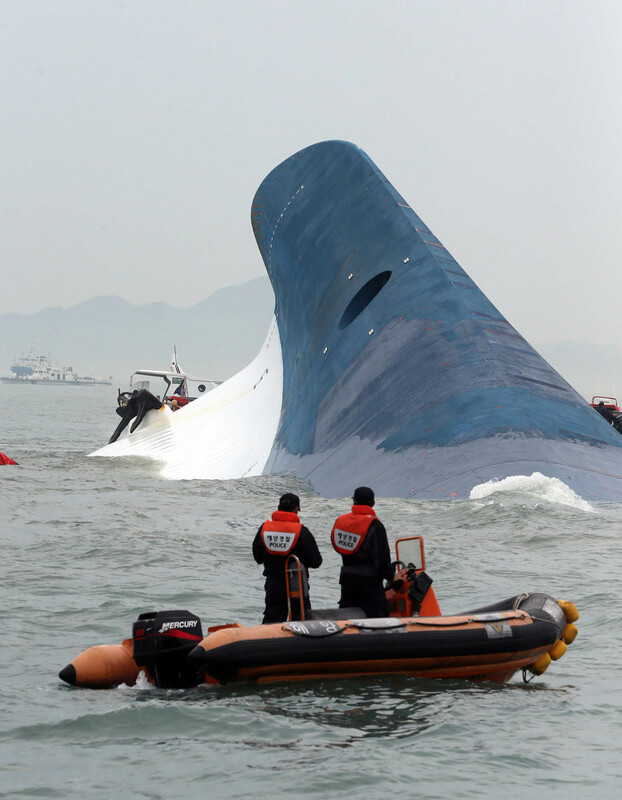 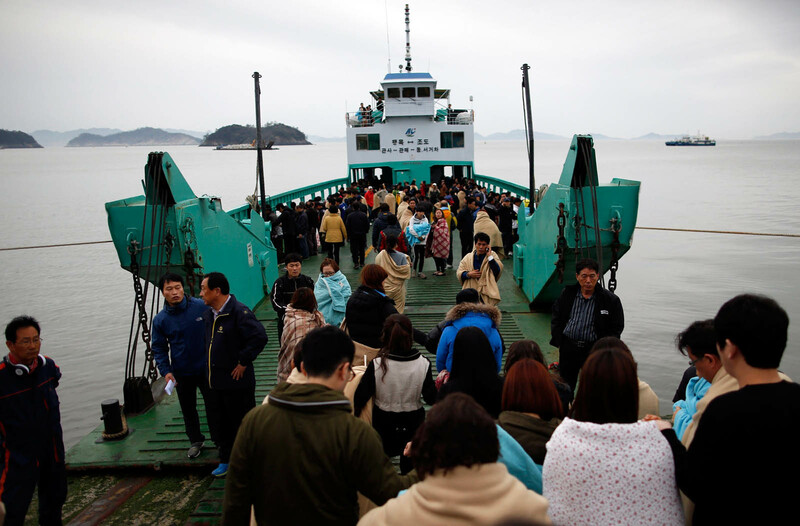 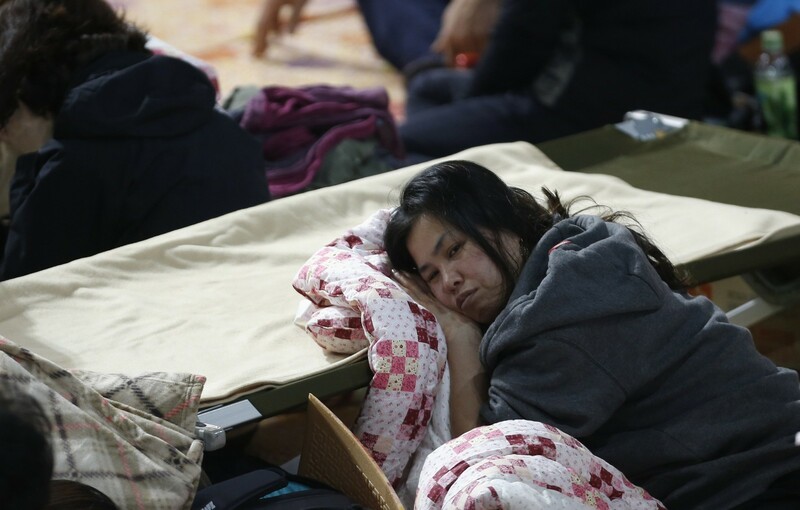 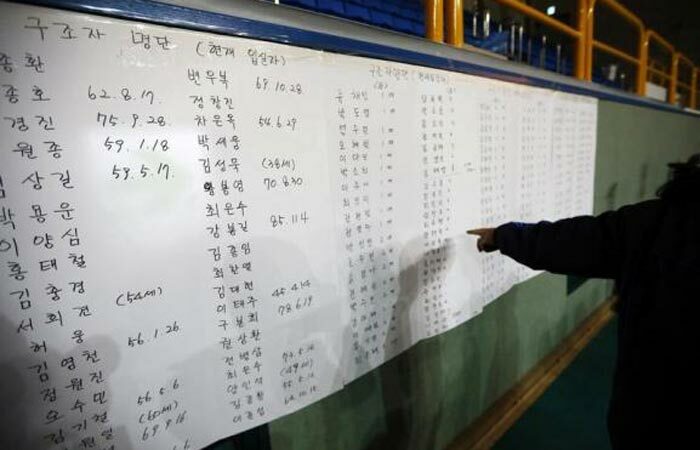 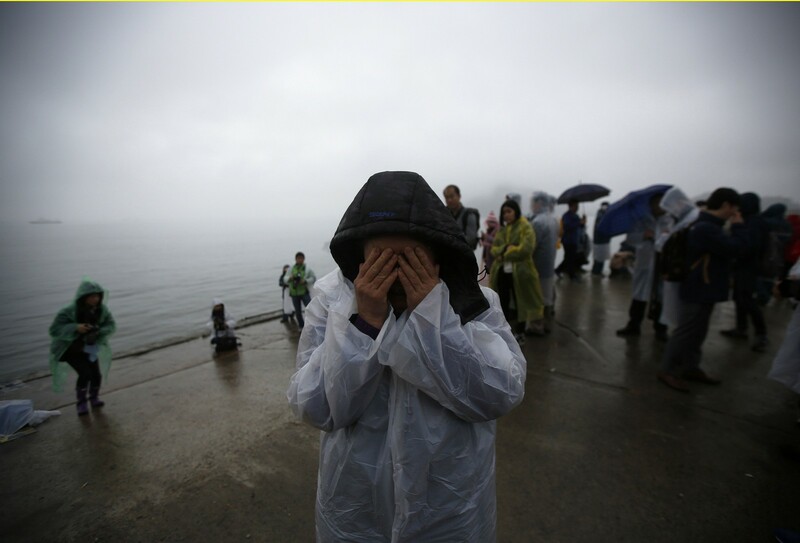 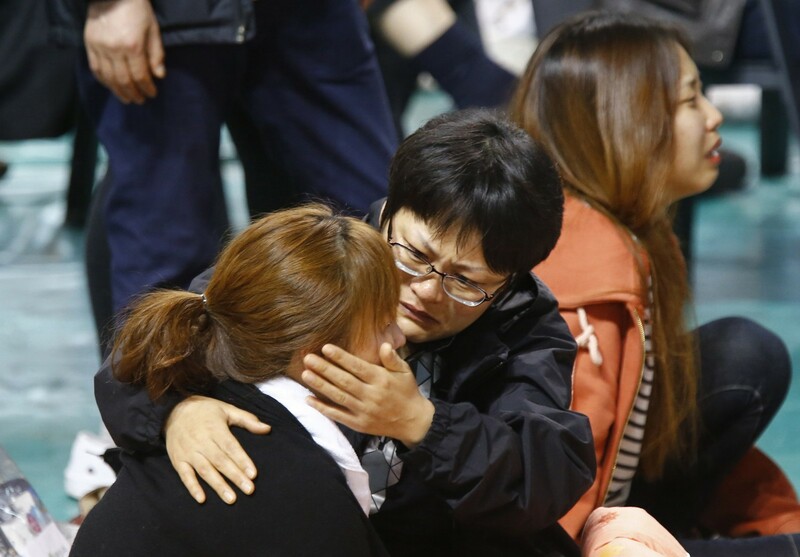 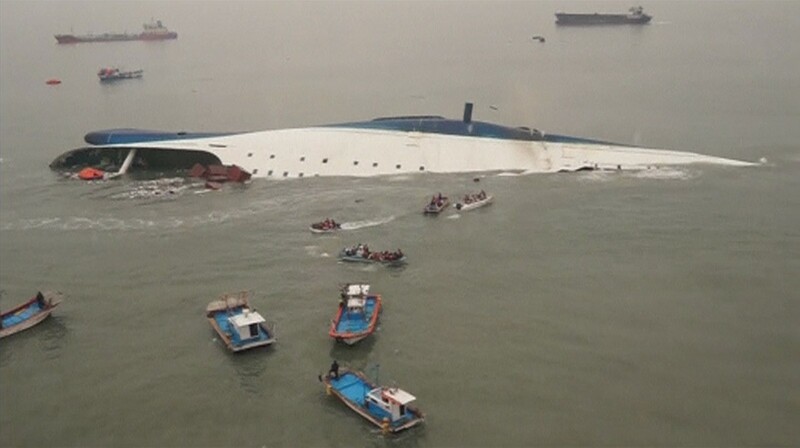 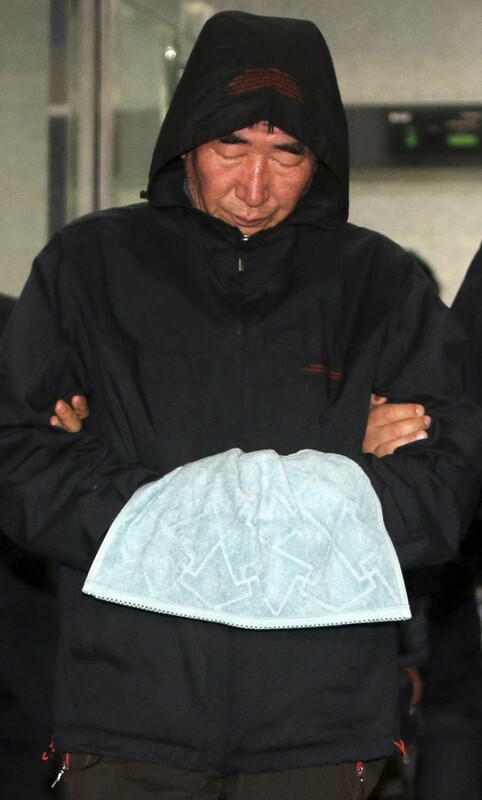 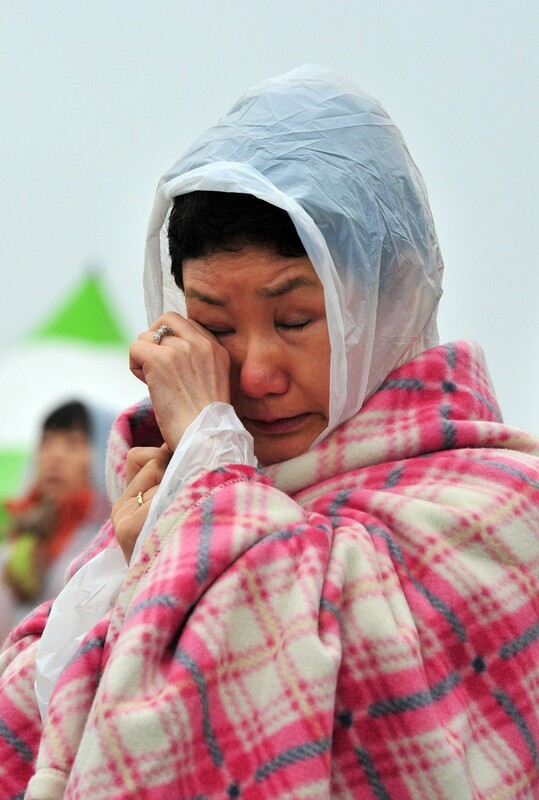 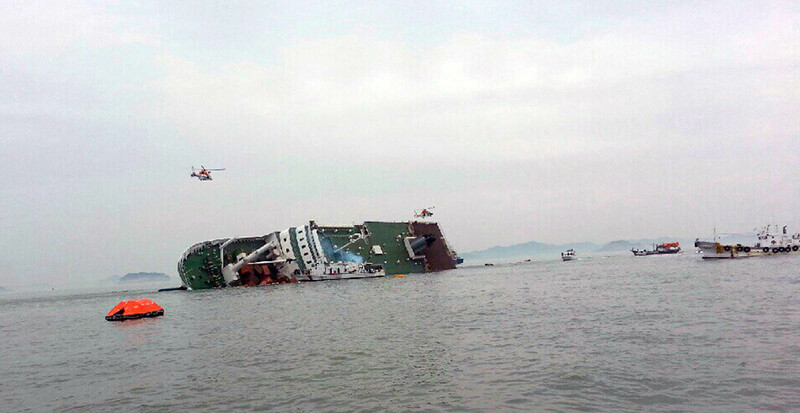 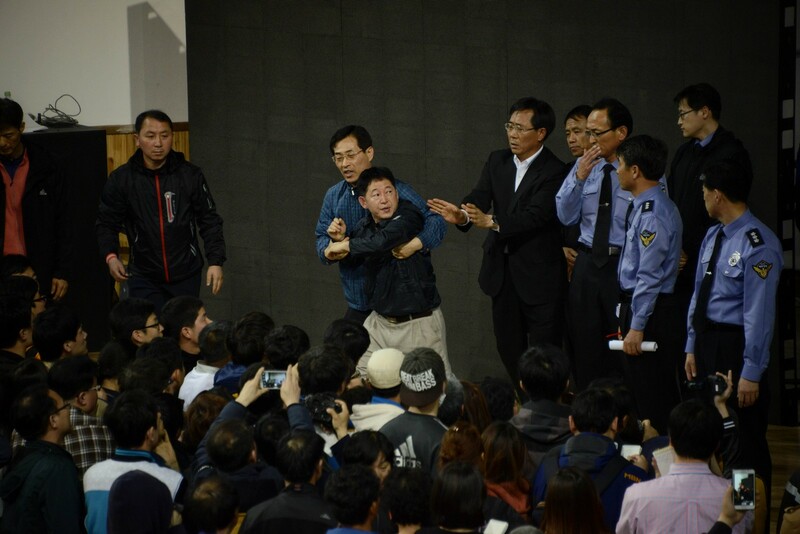 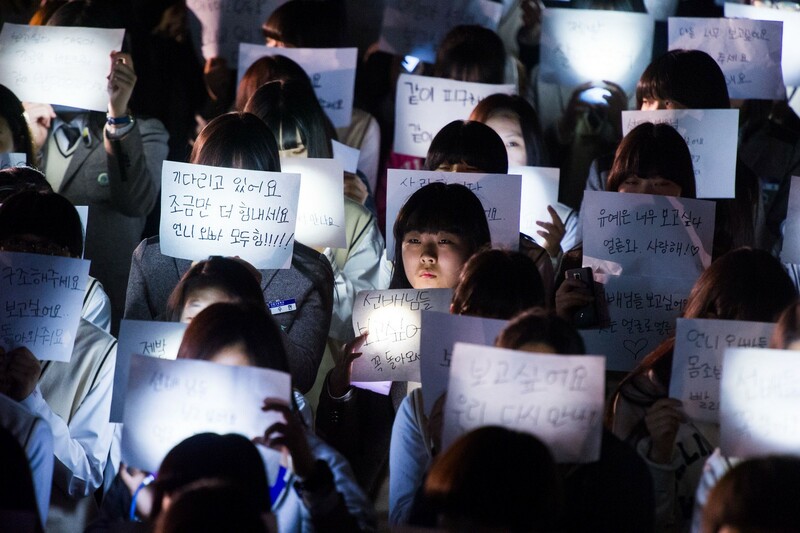 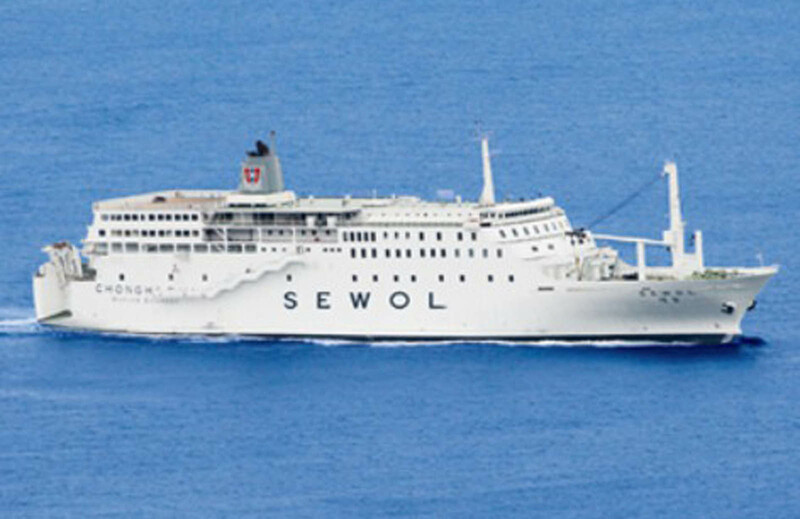 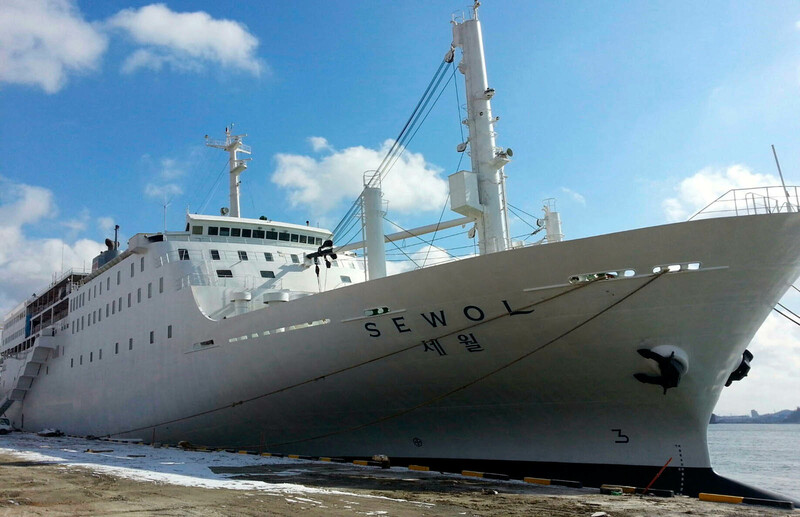 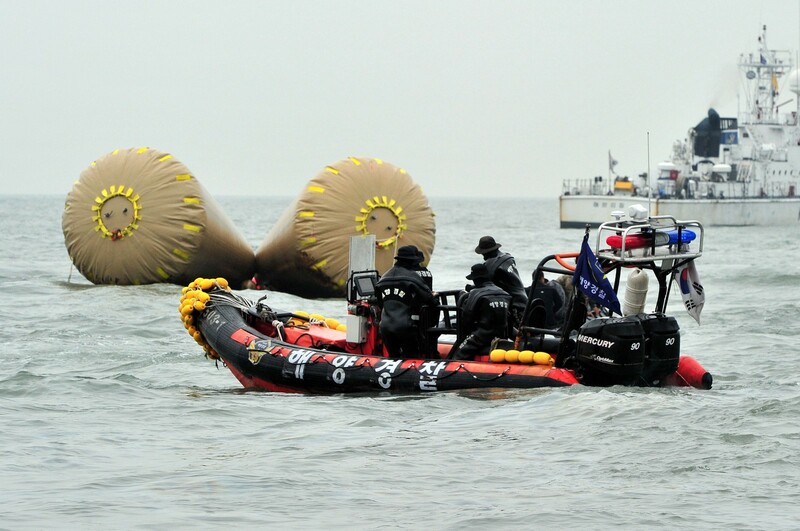 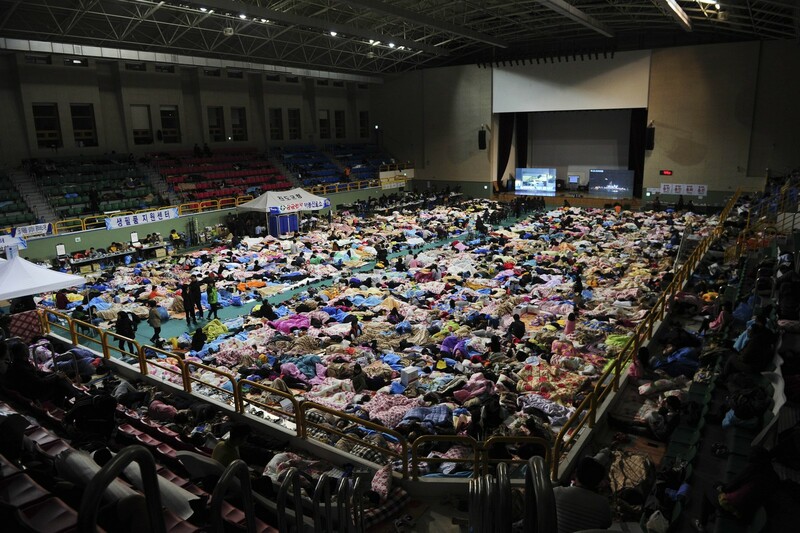 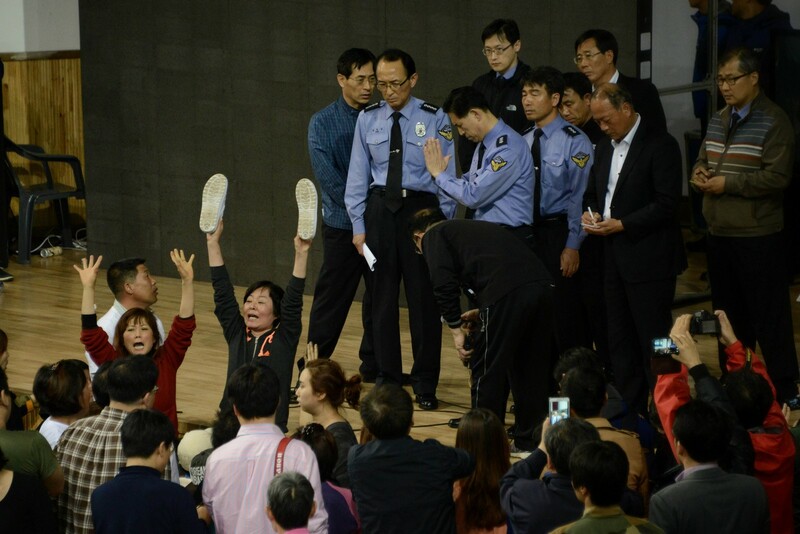 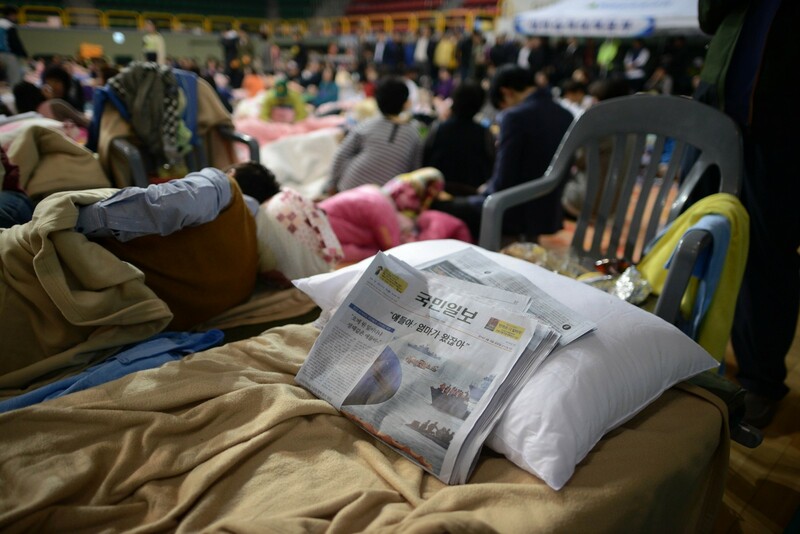 There were 477 people and 150 vehicles on board the ferry Sewol, officials said. 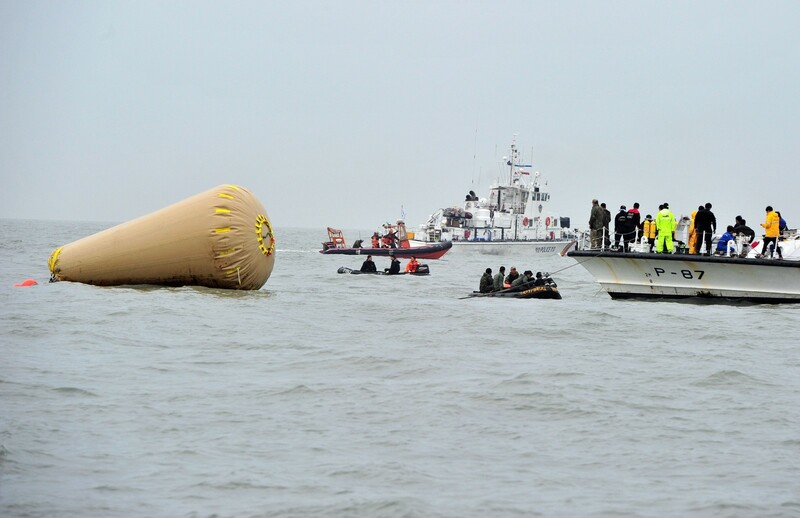 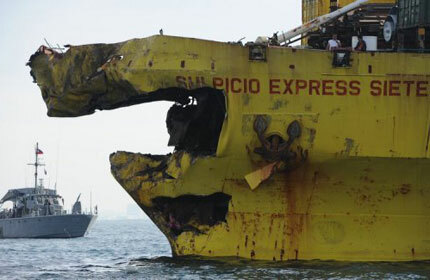 Witnesses said many people were likely still inside the stricken vessel. 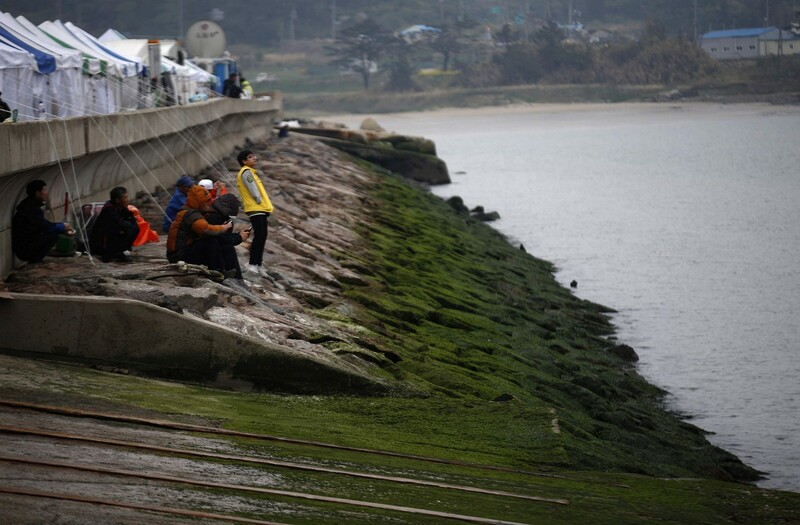 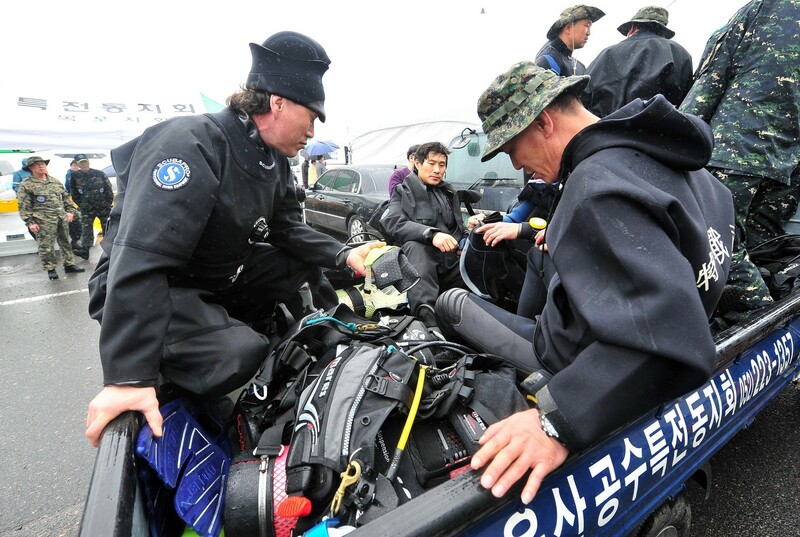 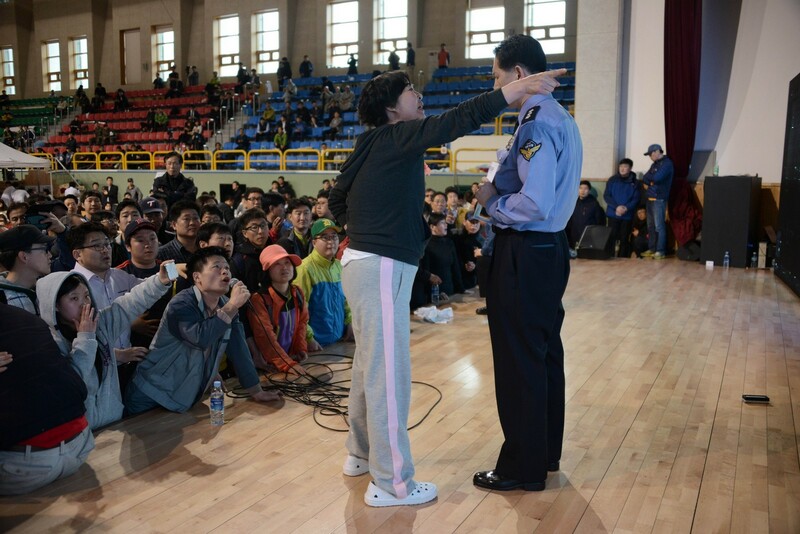 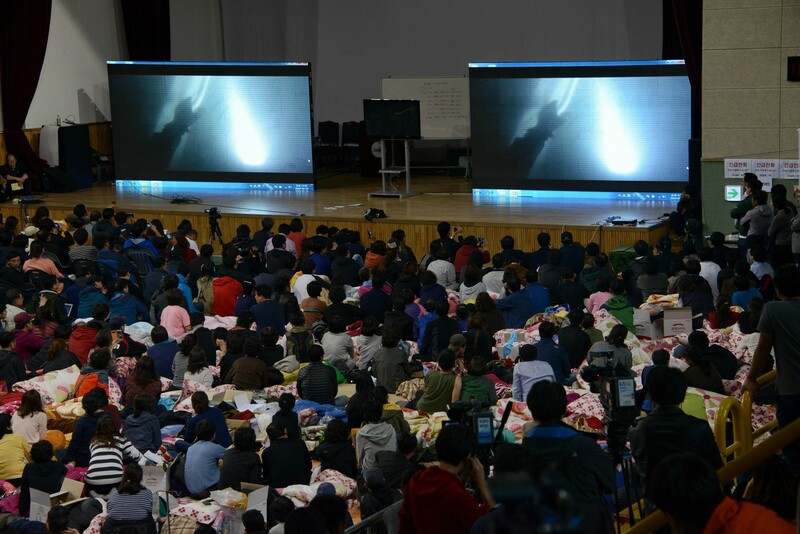 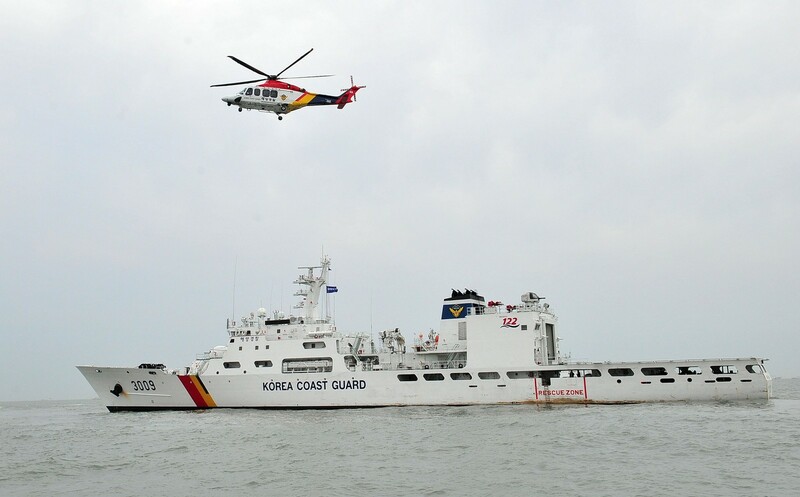 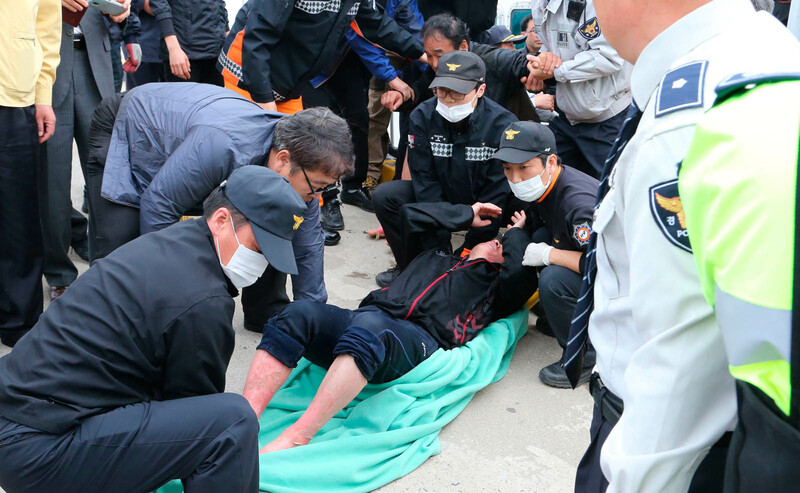 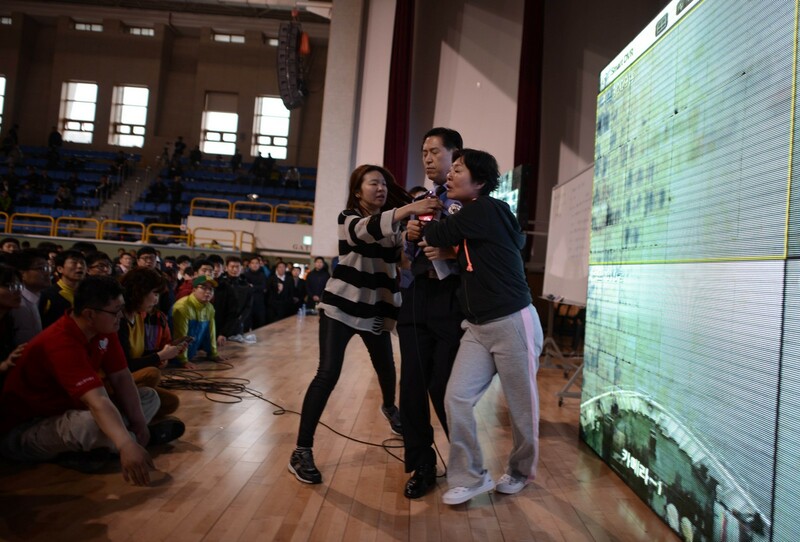 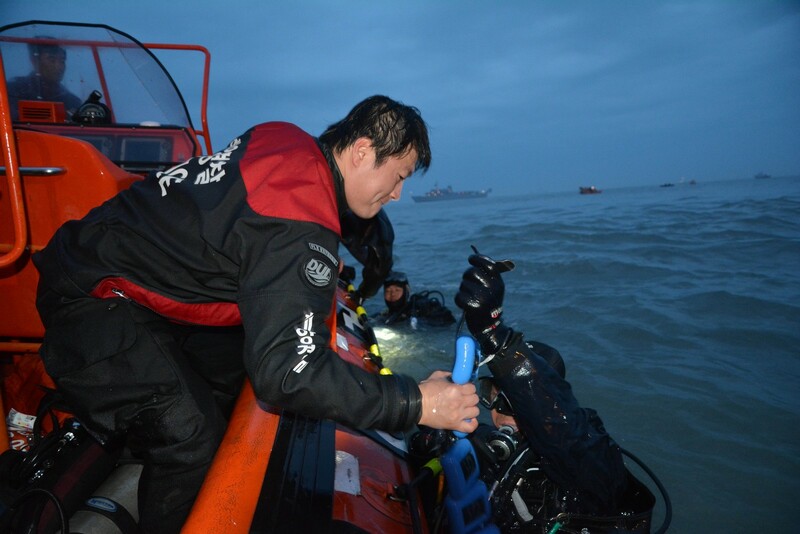 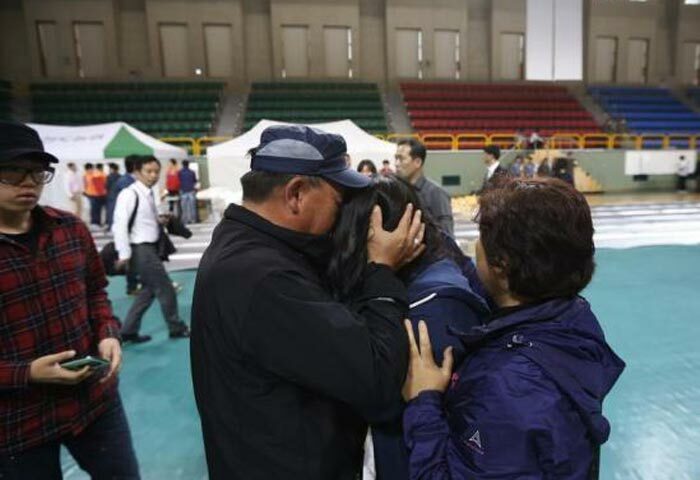 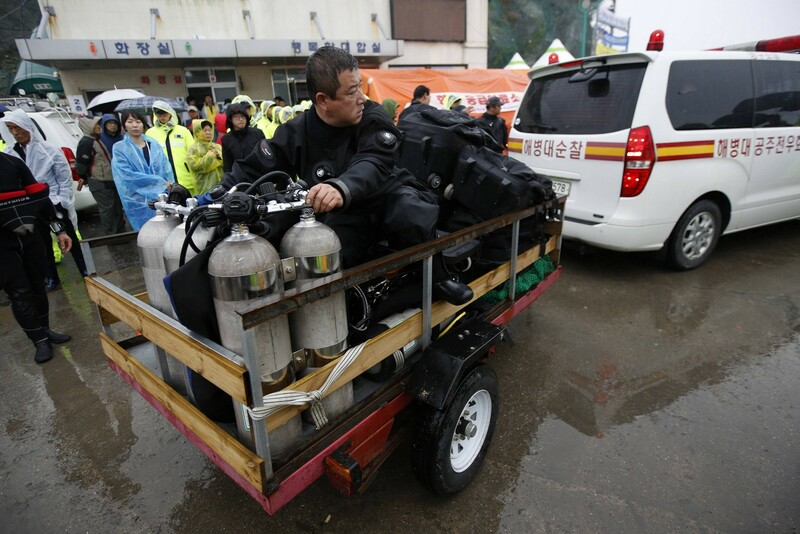 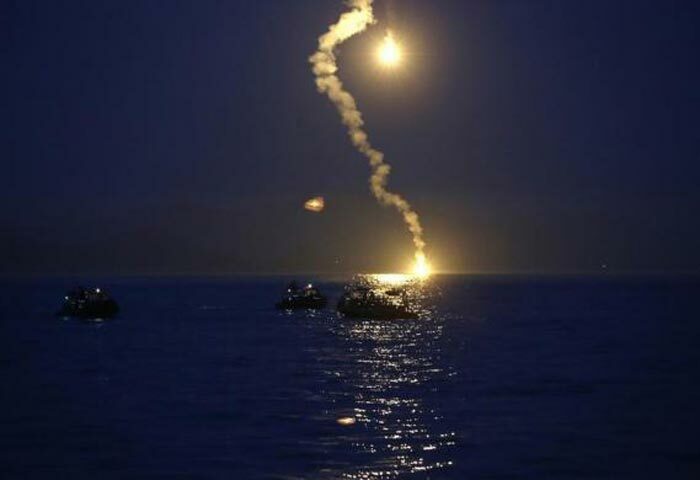 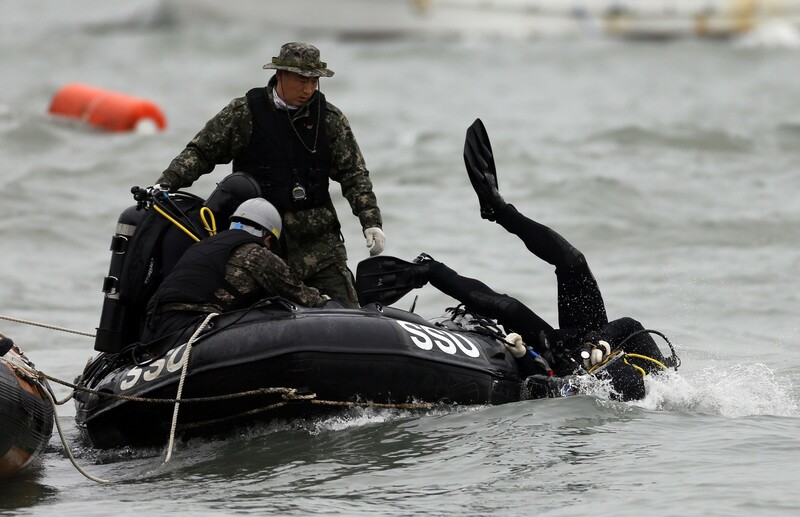 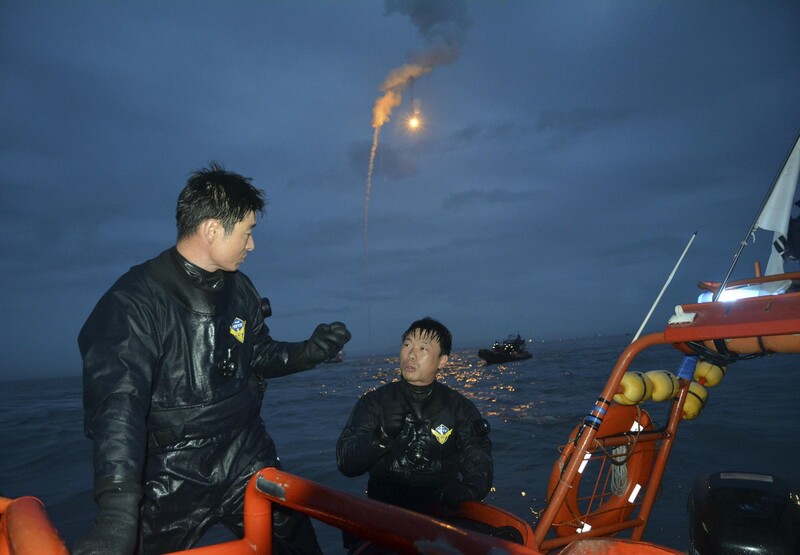 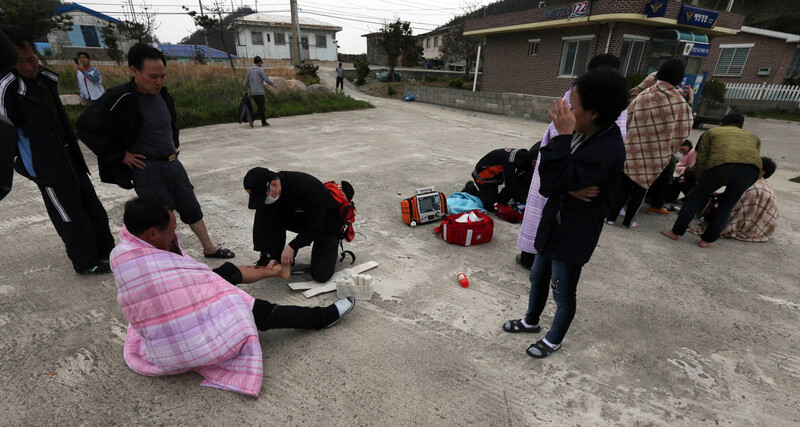 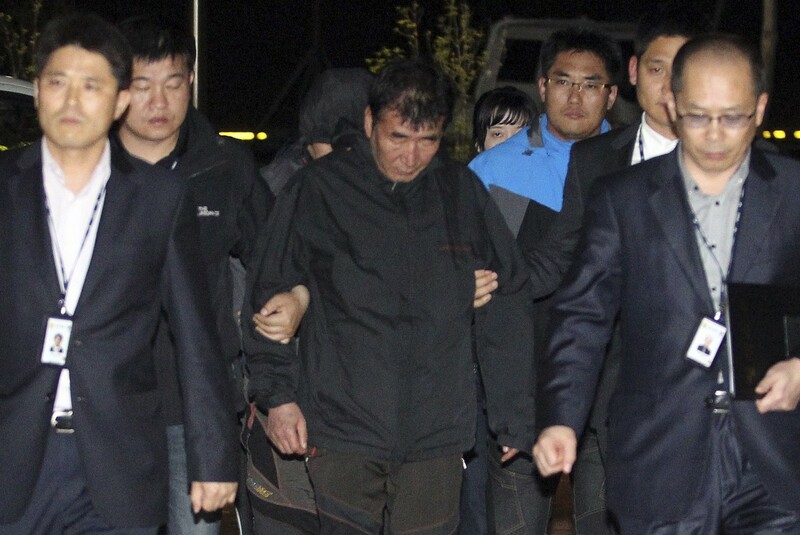 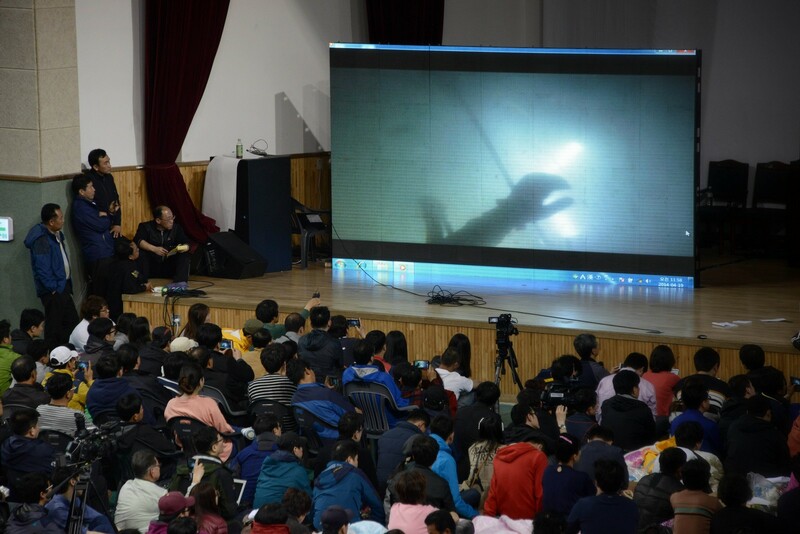 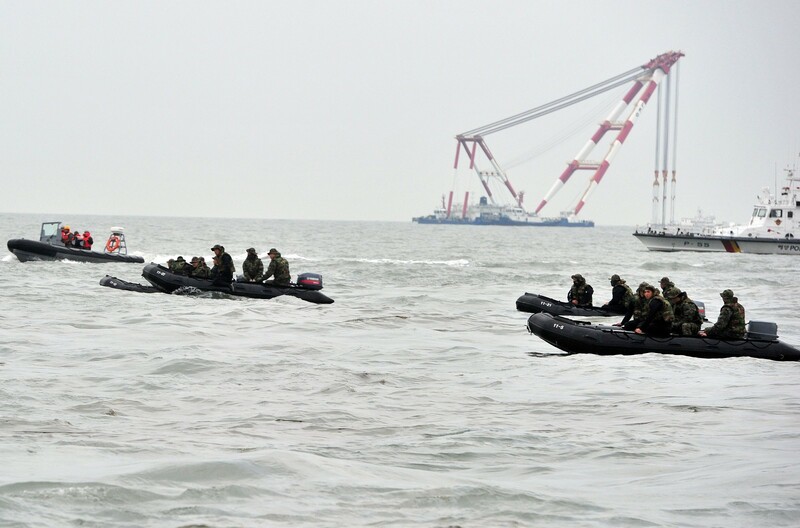 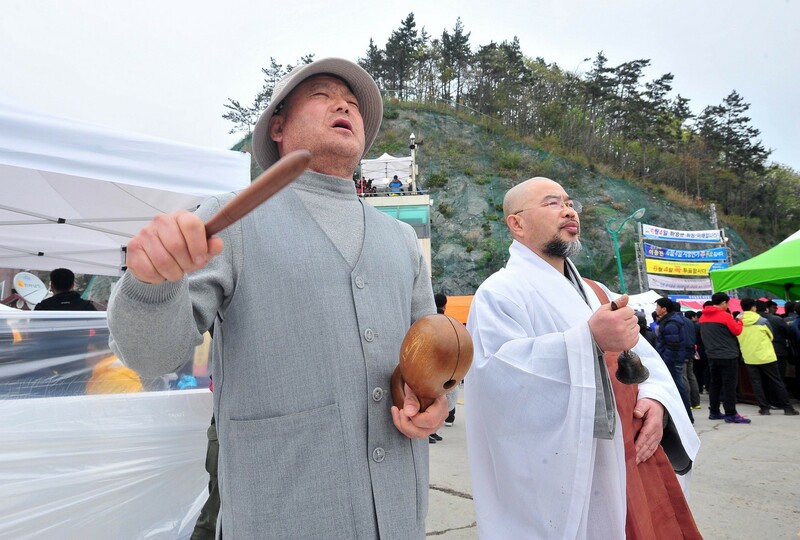 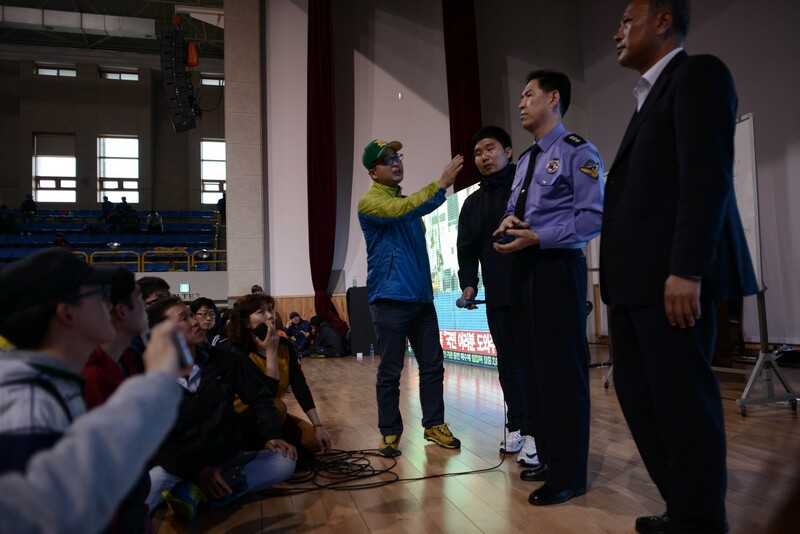 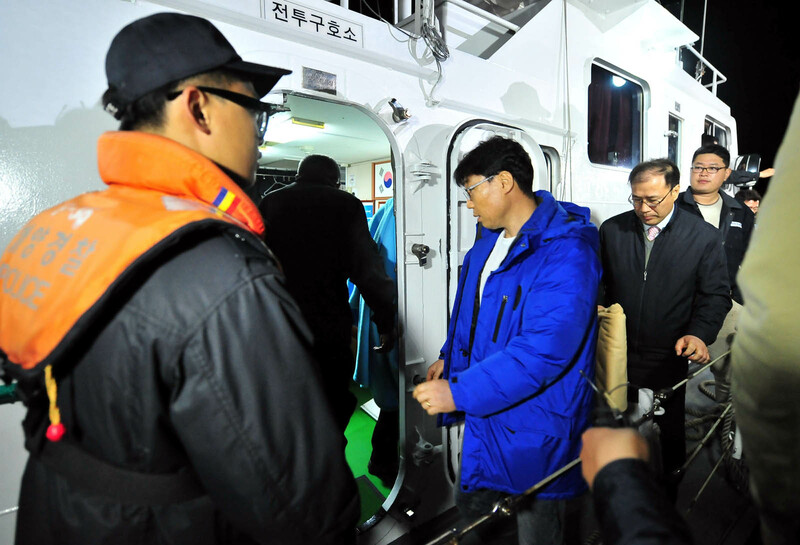 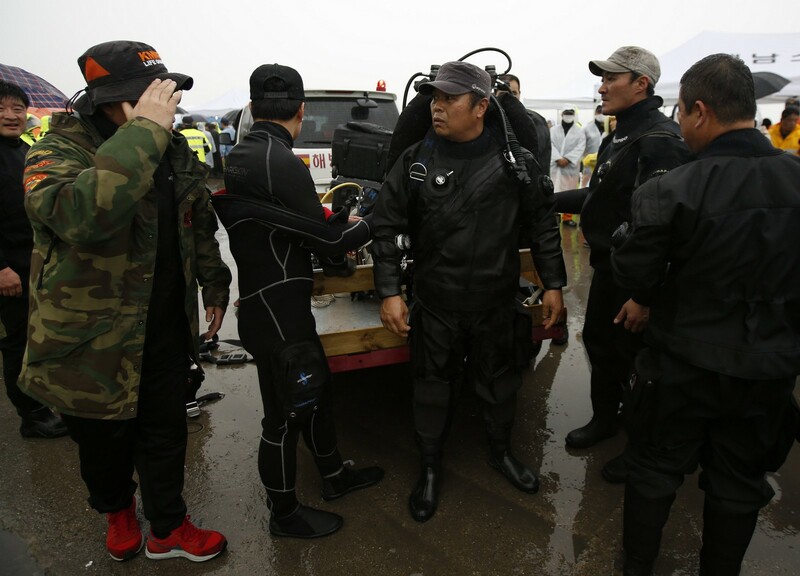 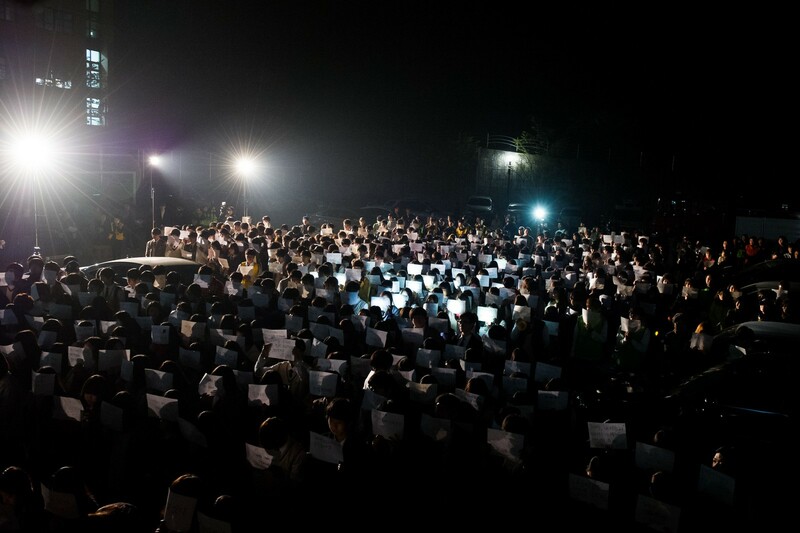 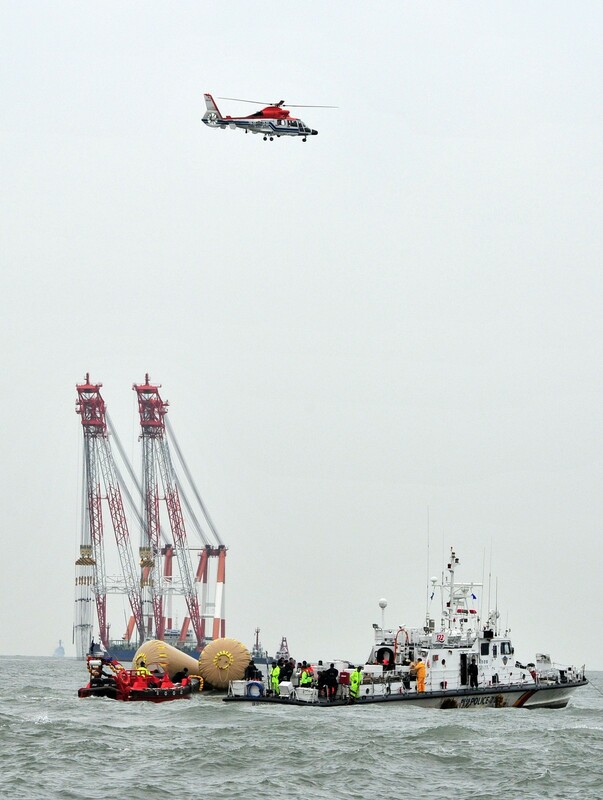 An official from the Danwon High School in Ansan, a Seoul suburb, had earlier said all of its 338 students and teachers had been rescued safely but that could not be confirmed by the coastguard or other officials involved in the rescue. 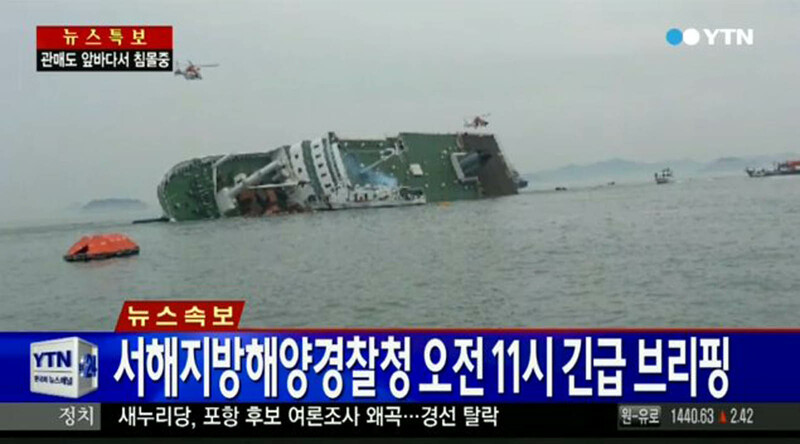 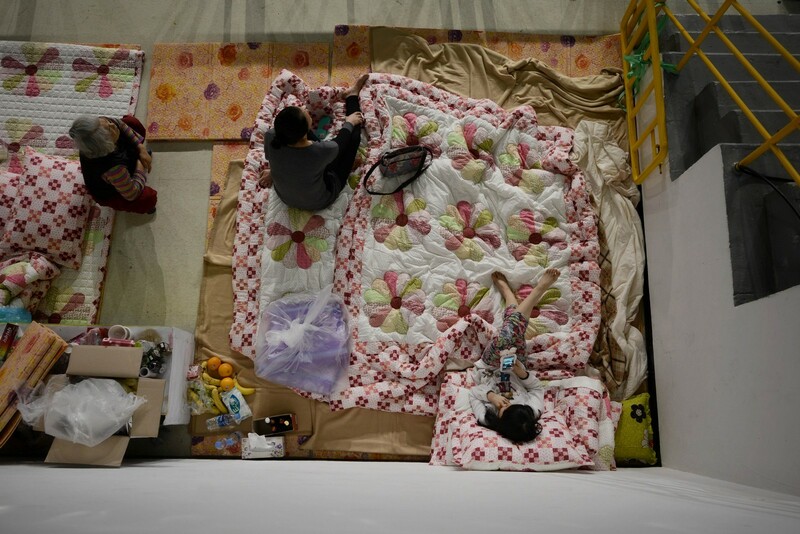 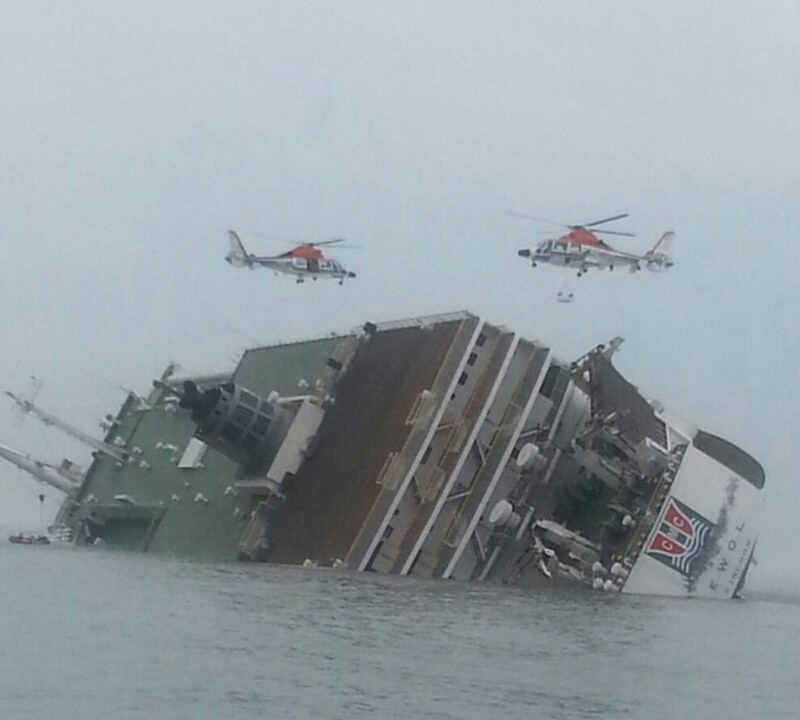 Within a couple of hours, television pictures showed the ship, Sewol, lying on its port side. 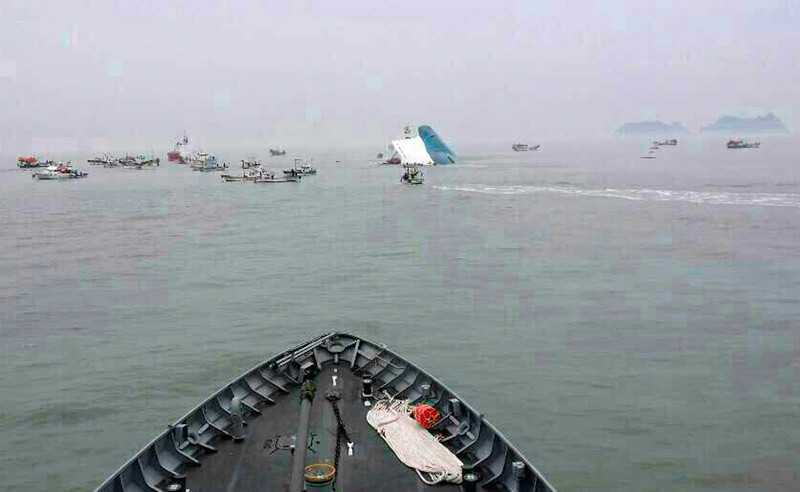 Soon after the ship had completely capsized, with only the forward part of its white and blue hull showing above the water. 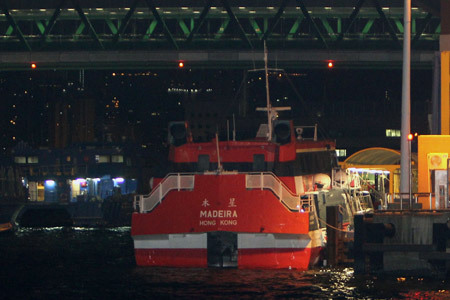 The double-deck hydrofoil Madeira carrying 105 passengers and 10 crew hit "an unidentifiable object" around 1.15am near one of Hong Kong's small outlying islands. 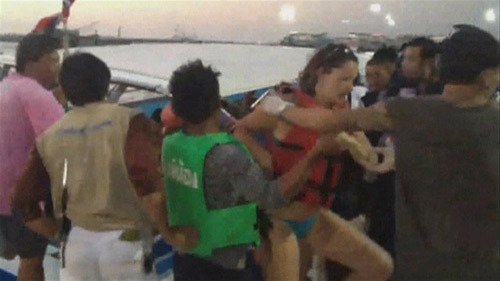 Passengers described being hurled out of their seats by the force. 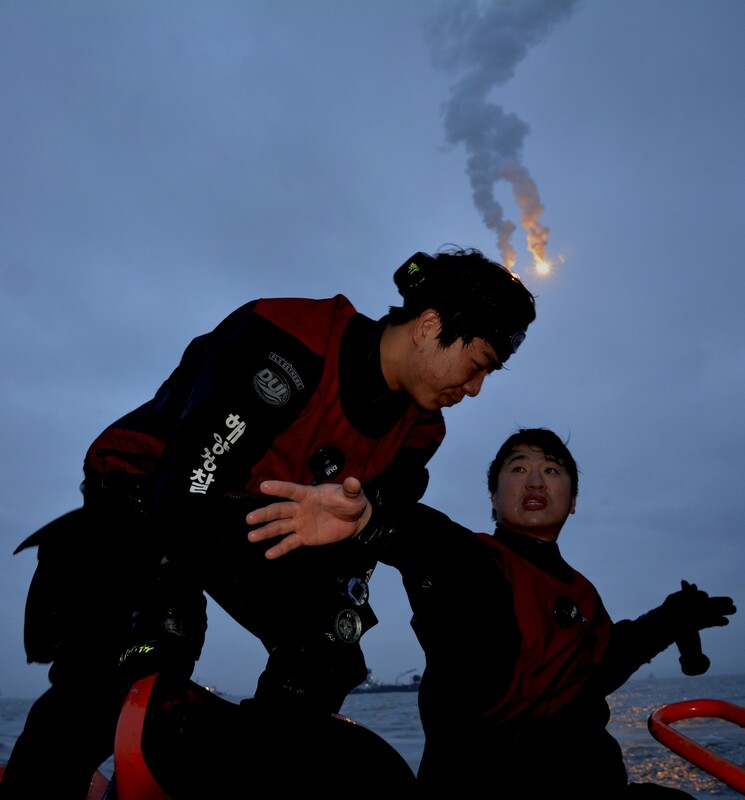 "There was suddenly a loud bang. 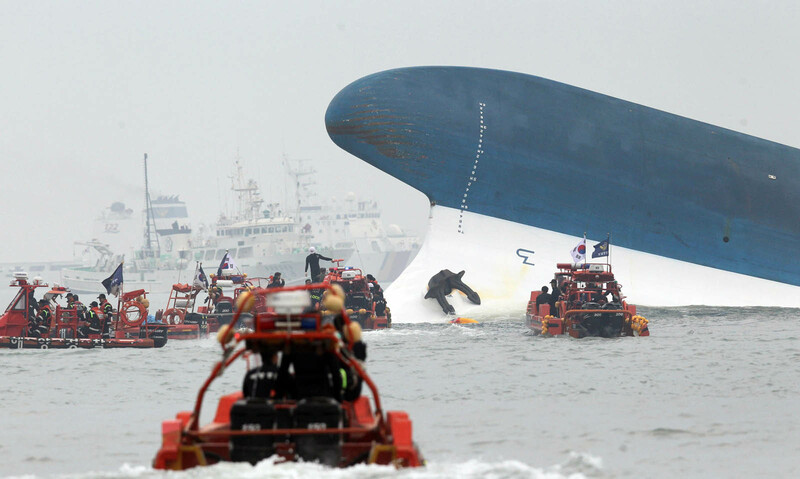 The ferry was thrown upwards." 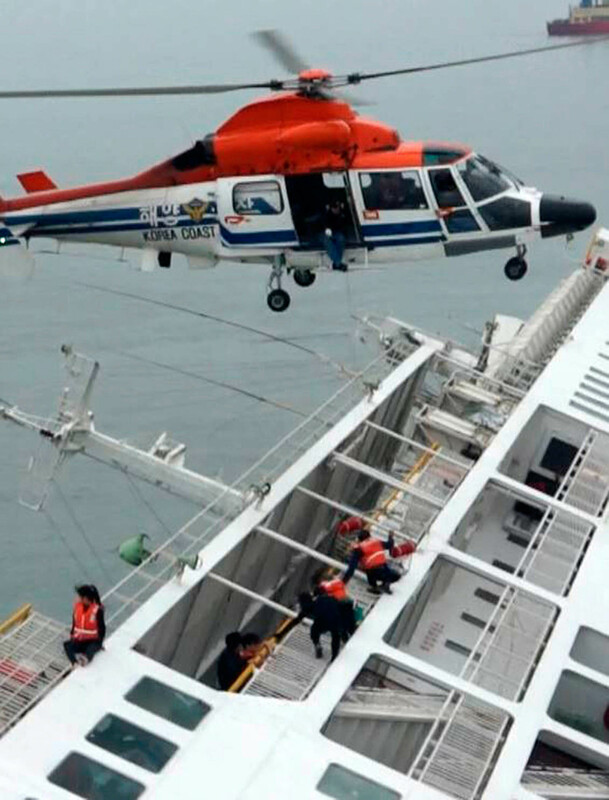 one passenger said. 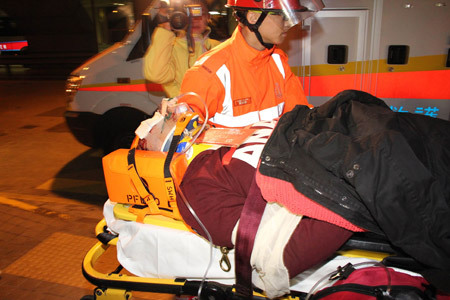 Multiple passengers were stretchered into ambulances by emergency services staff. 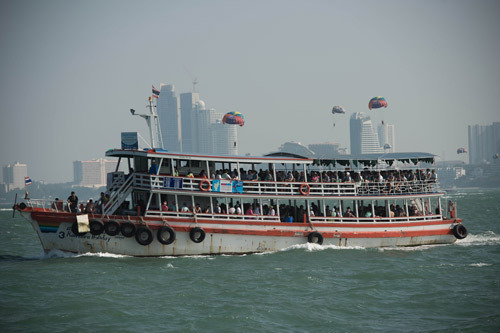 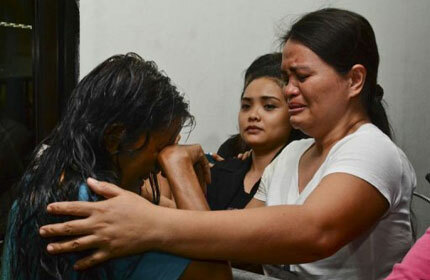 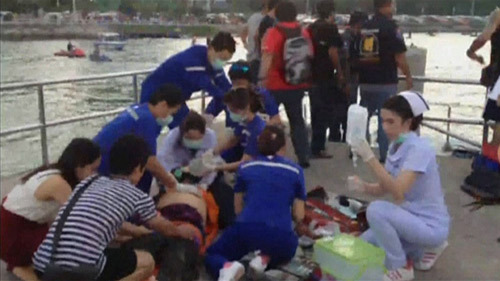 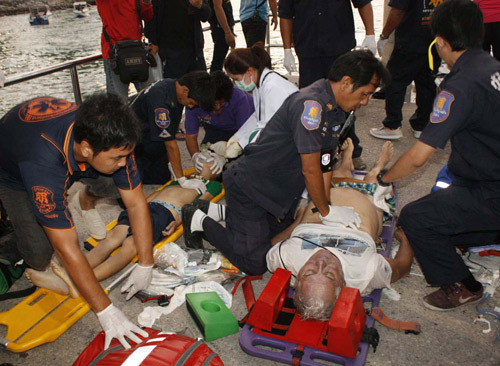 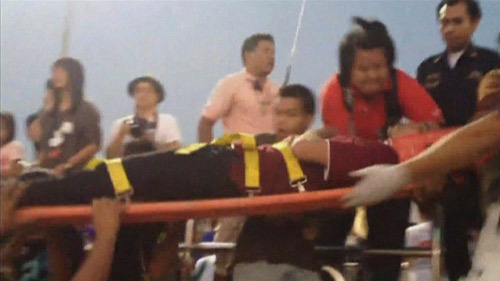 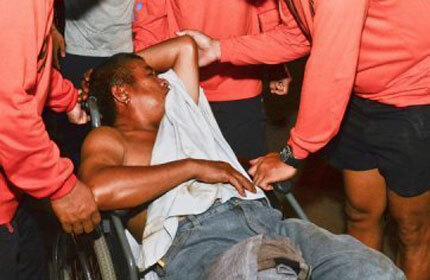 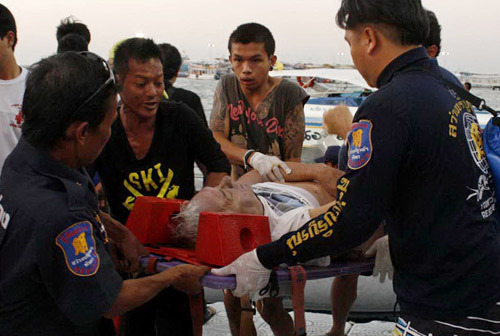 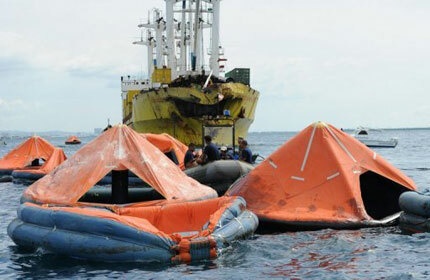 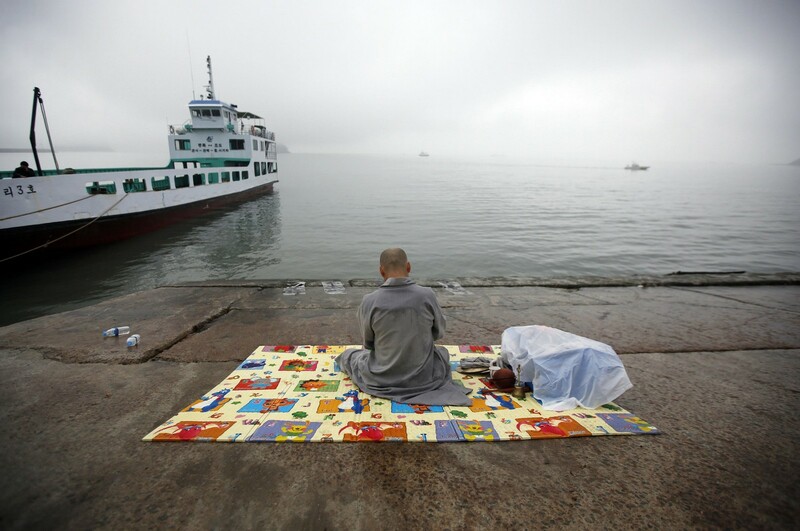 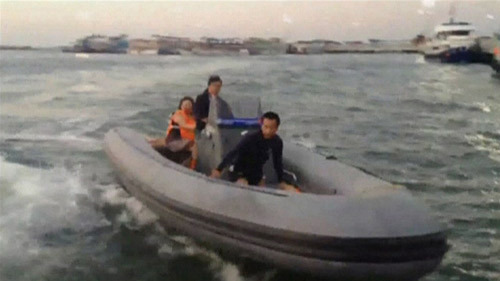 The overcrowded ferry sank near the Thai seaside resort of Pattaya. 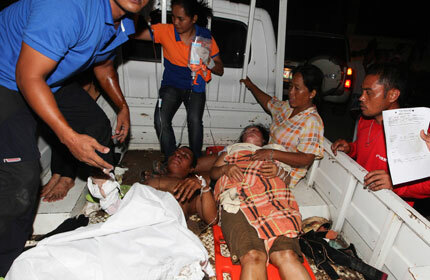 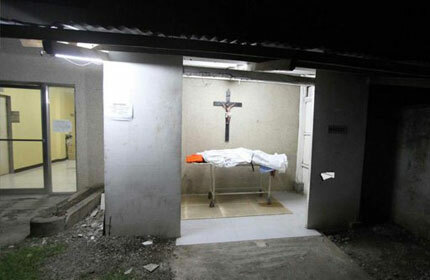 Among those killed were 3 Russians, 3 Thais and 1 Chinese. 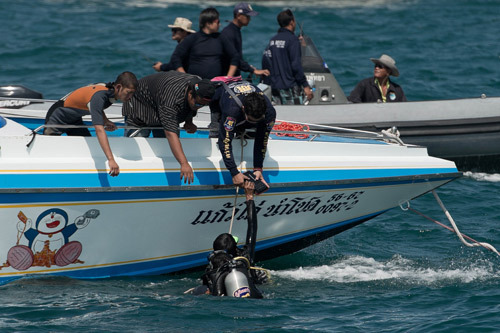 The ferry which travelled between Koh Lan island and Pattaya is reported to have been carrying approximately 200 passengers, despite a capacity limit of 150.